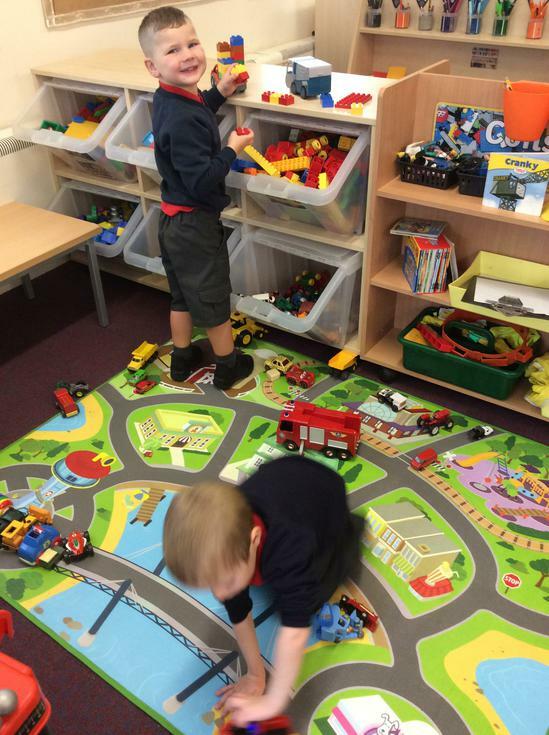 In our Nursery there are 4 adults and 26 children. 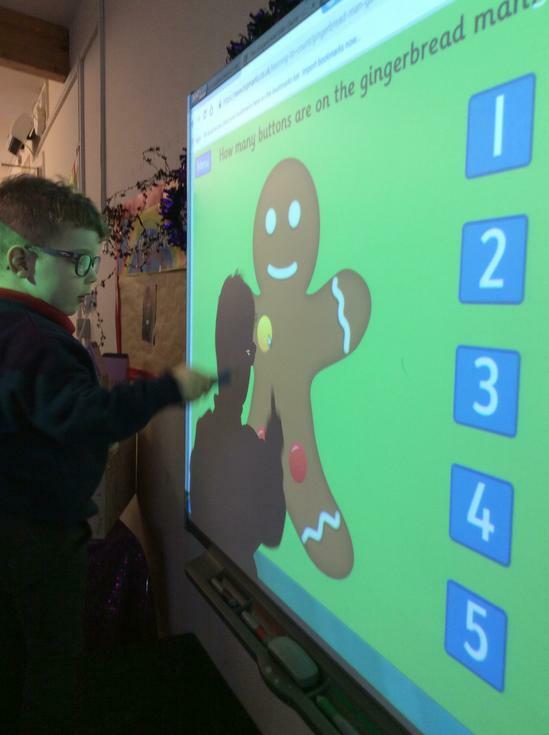 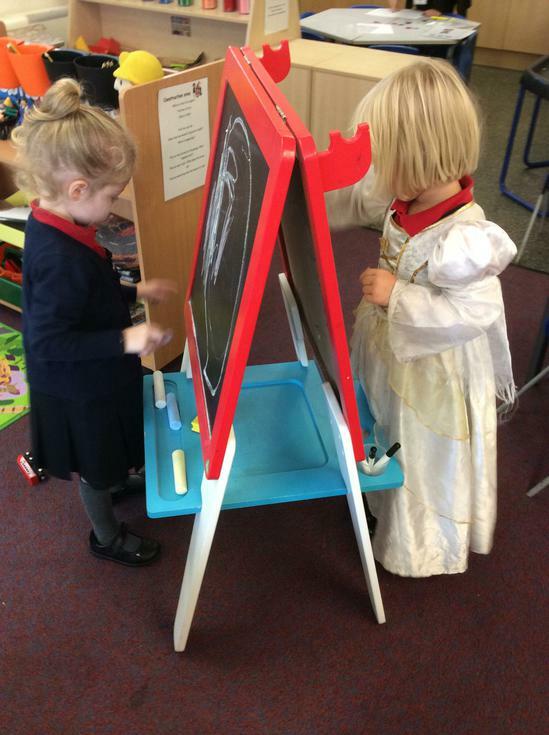 Miss Neill is the class teacher and Mrs Garfield is the class teaching assistant. 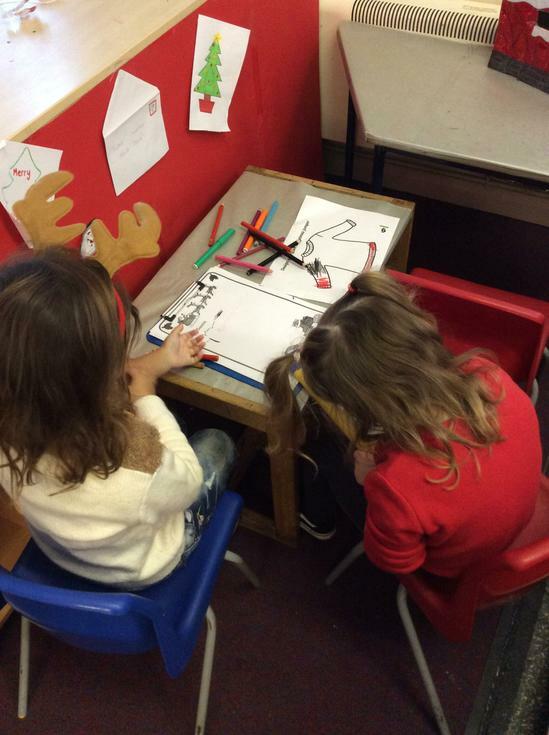 Mrs Manfield and Mrs Wheeldon are the part time teaching assistants and Mrs Sanders is our class Governor. 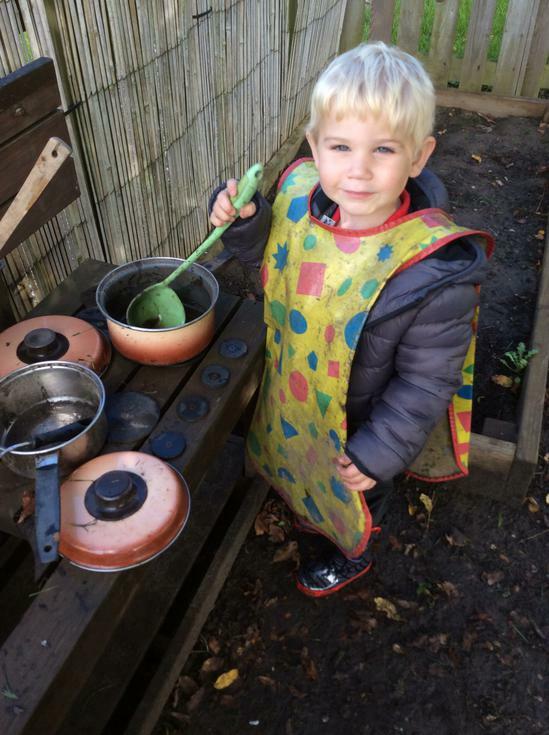 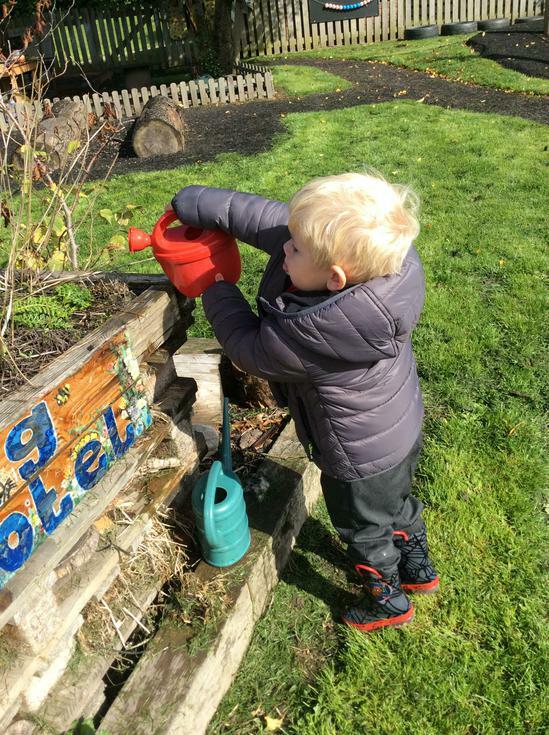 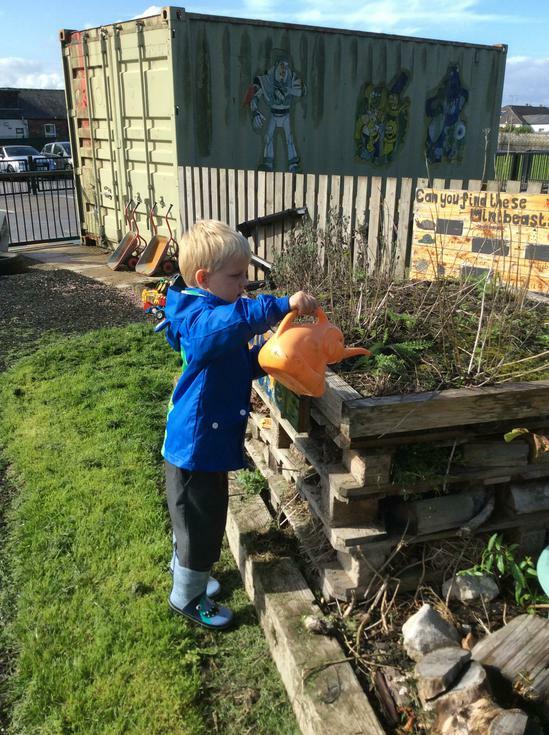 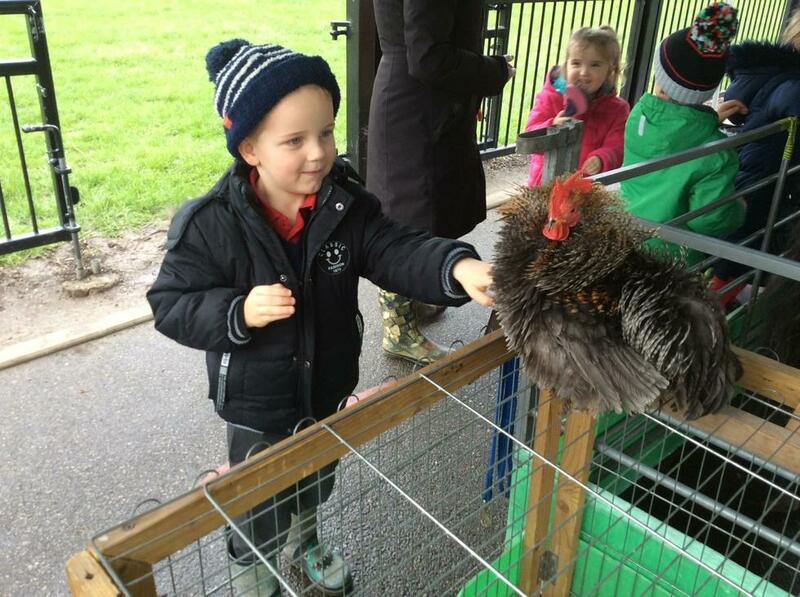 Nursery learnt about what vegetables grow on a farm and read the story Oliver's Vegetables. 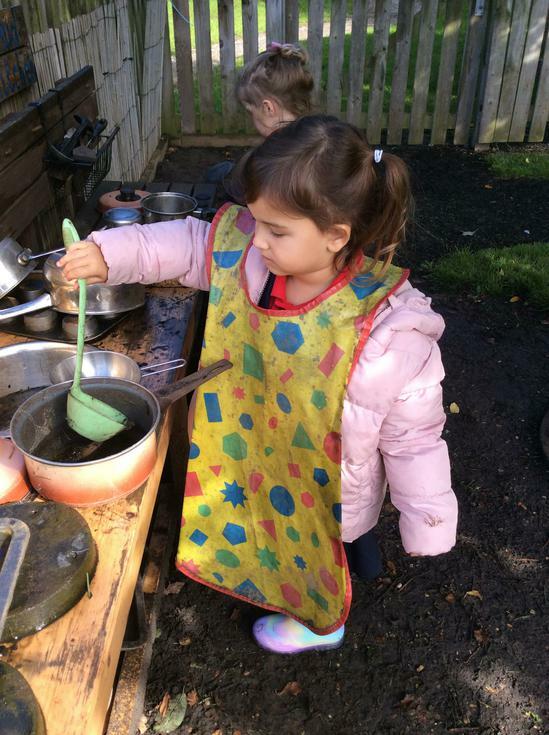 Then they made vegetable soup! 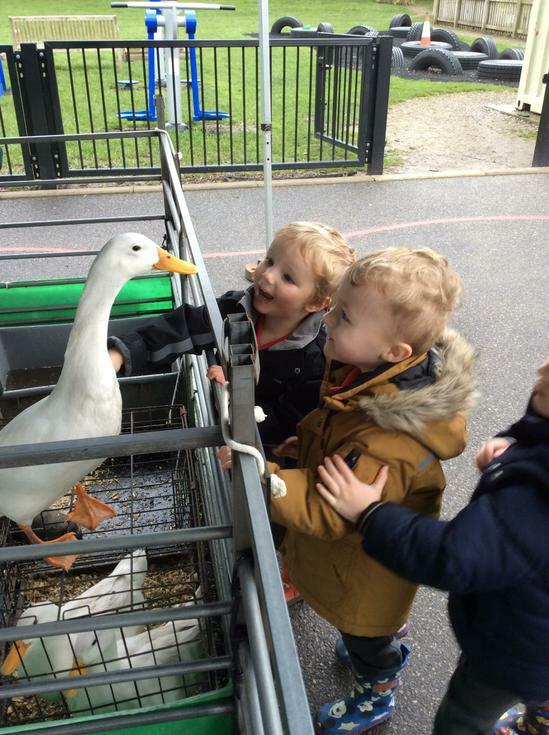 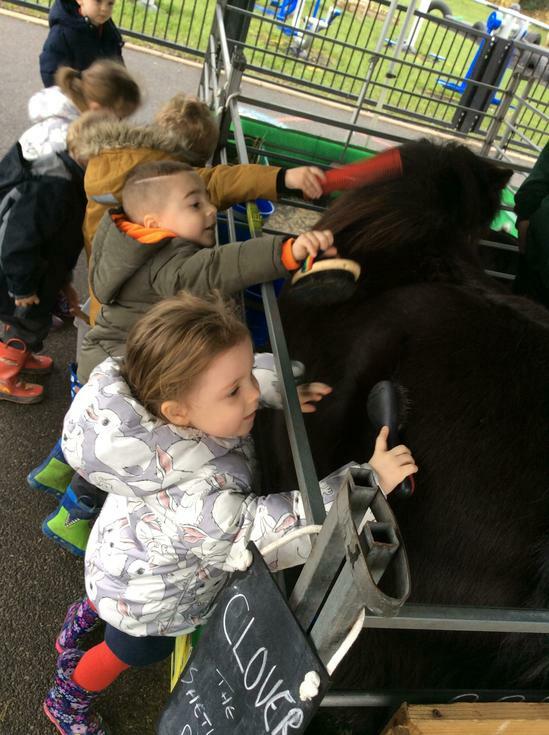 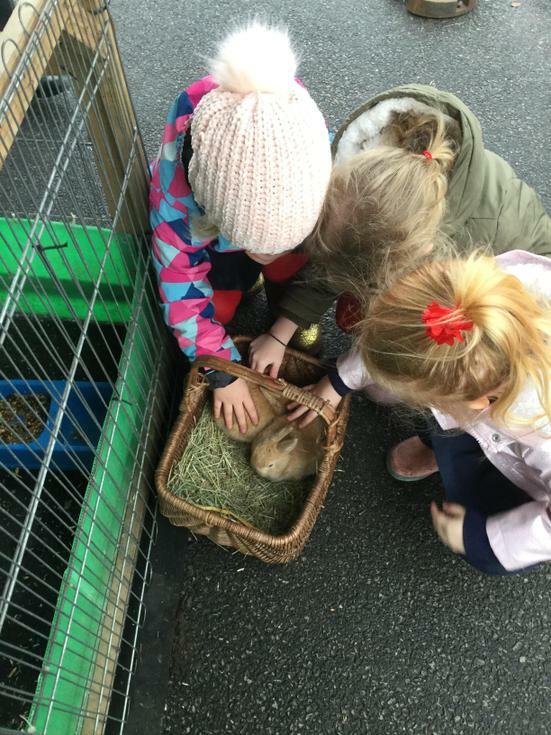 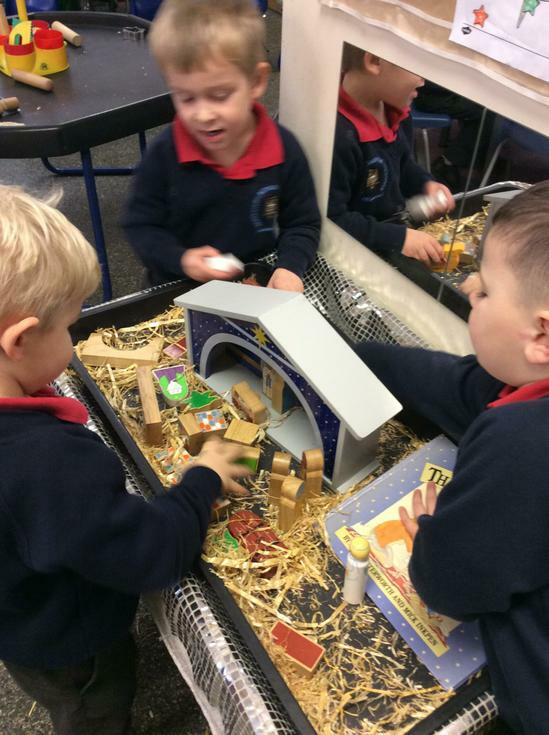 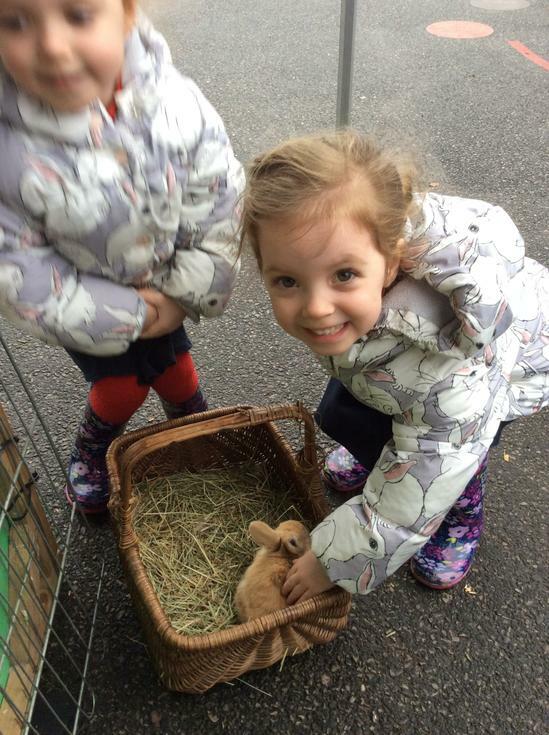 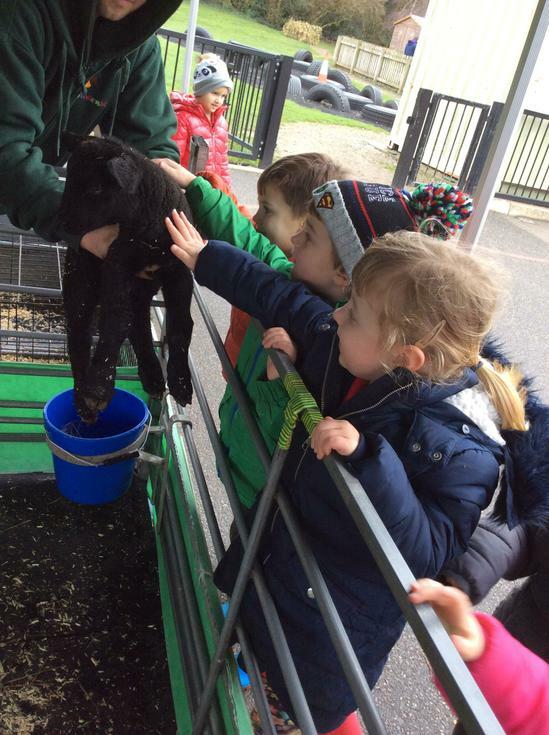 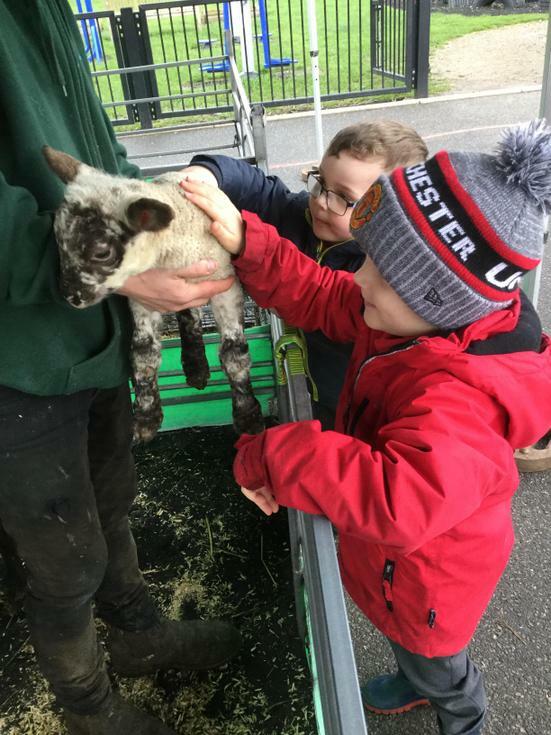 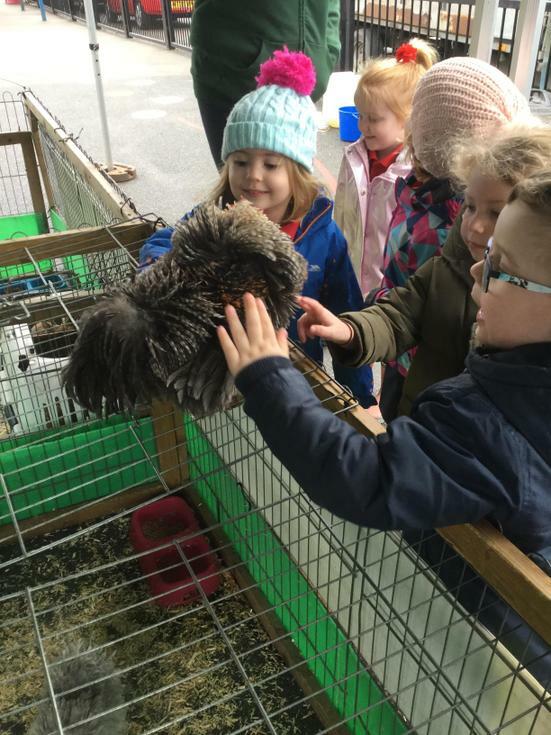 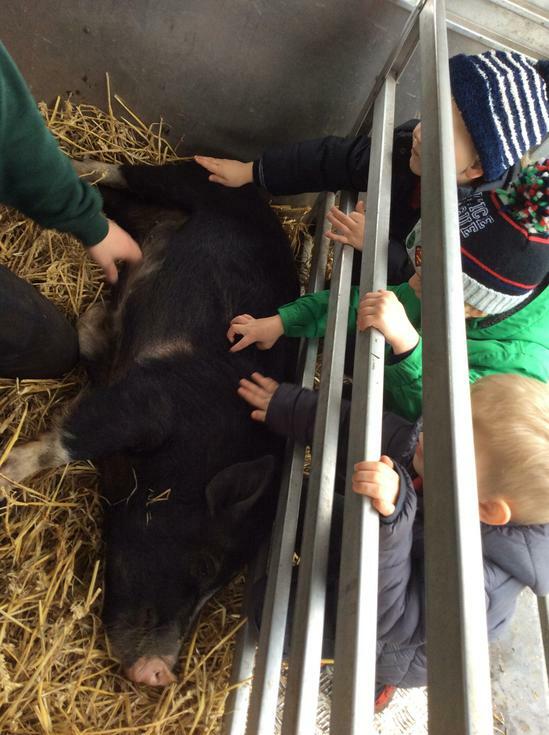 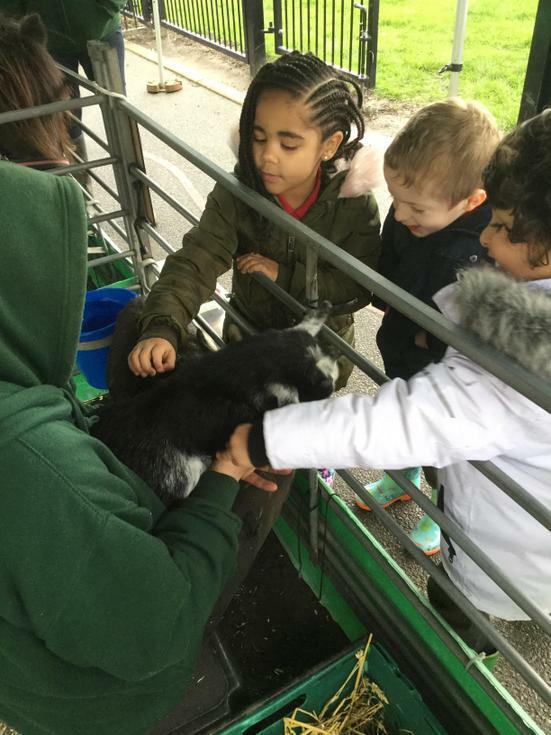 The Mobile Farm came to visit Nursery to support their current farm topic. 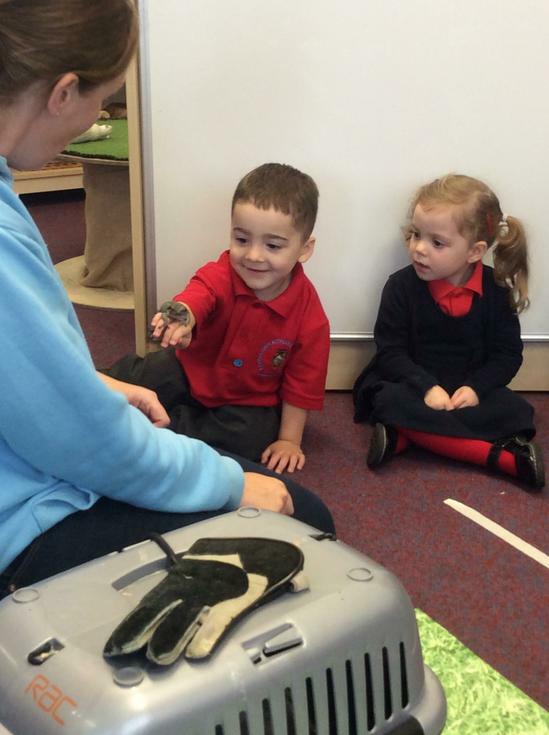 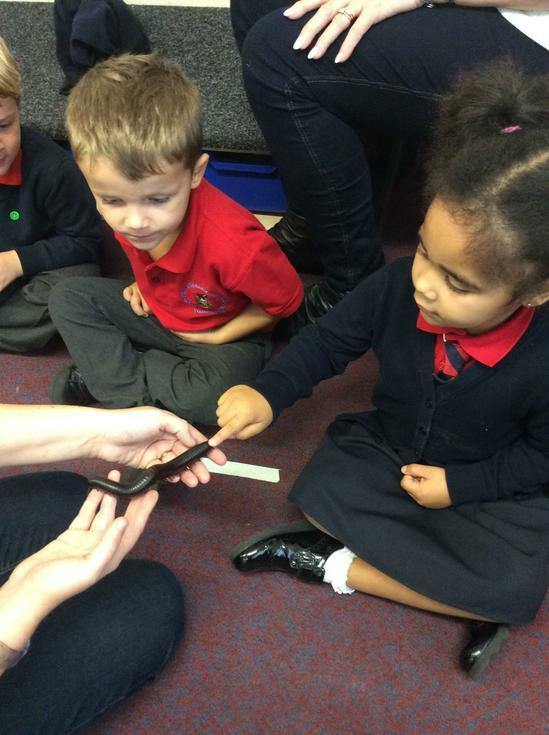 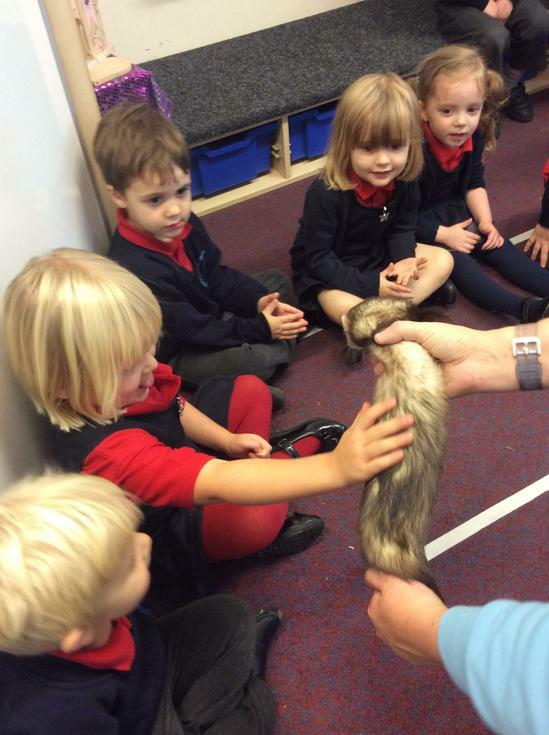 They got to stroke, hold and learn about all the different animals. 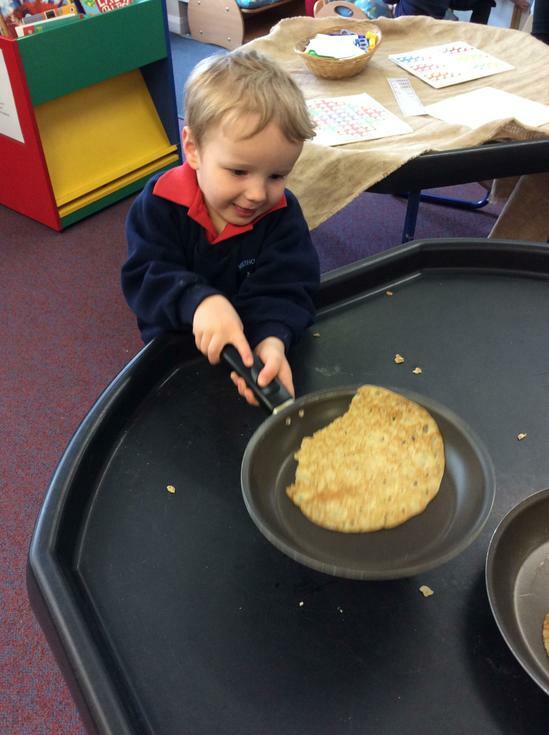 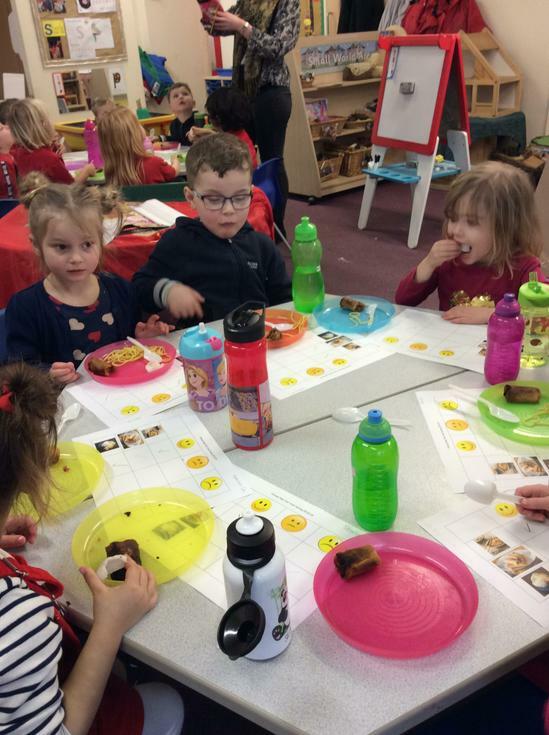 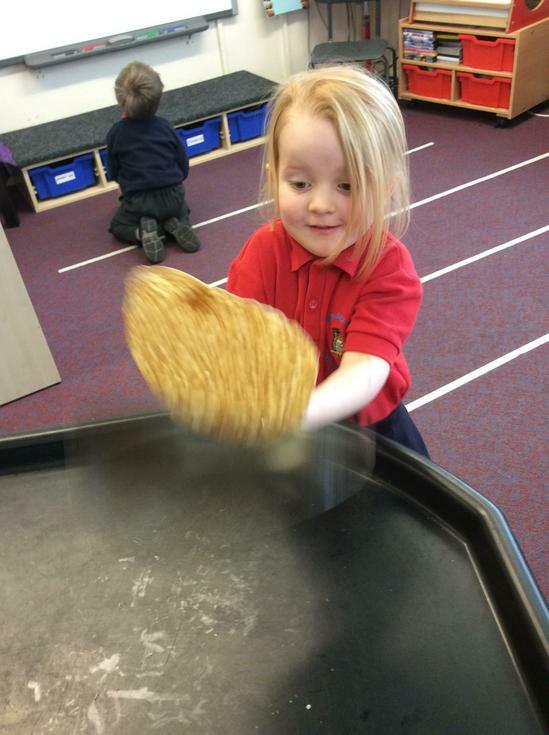 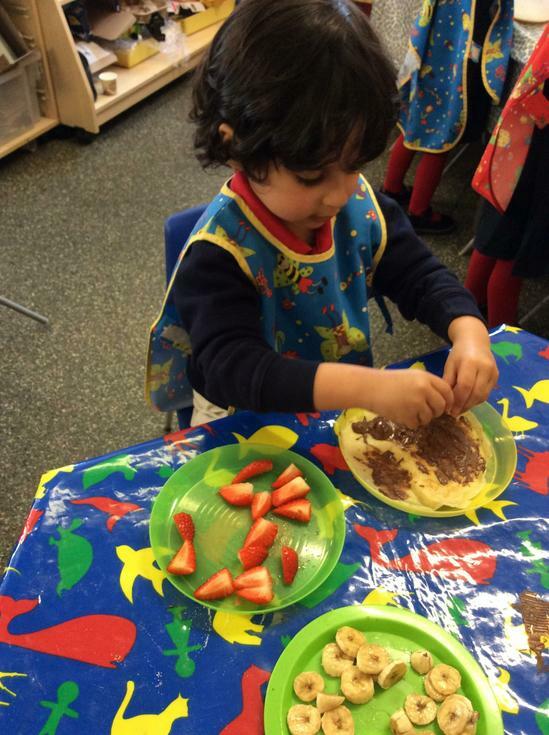 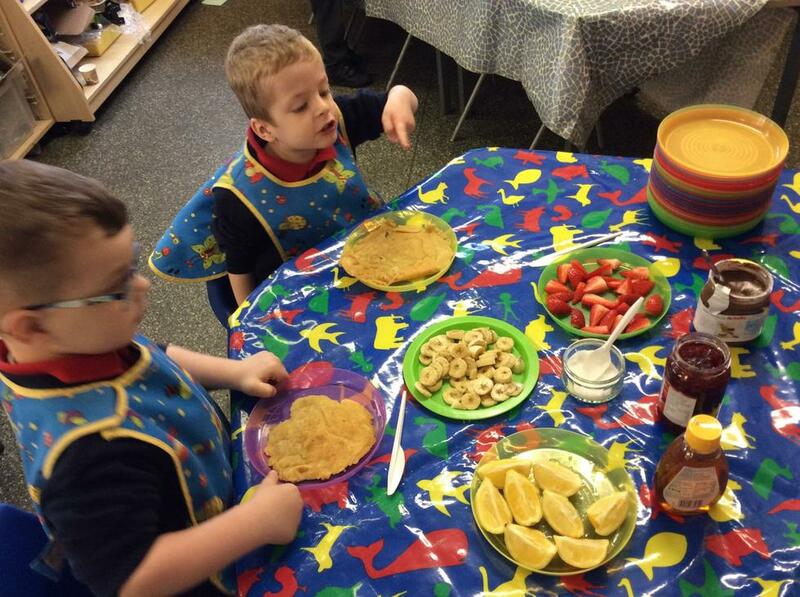 Nursery enjoyed learning about Shrove Tuesday today. 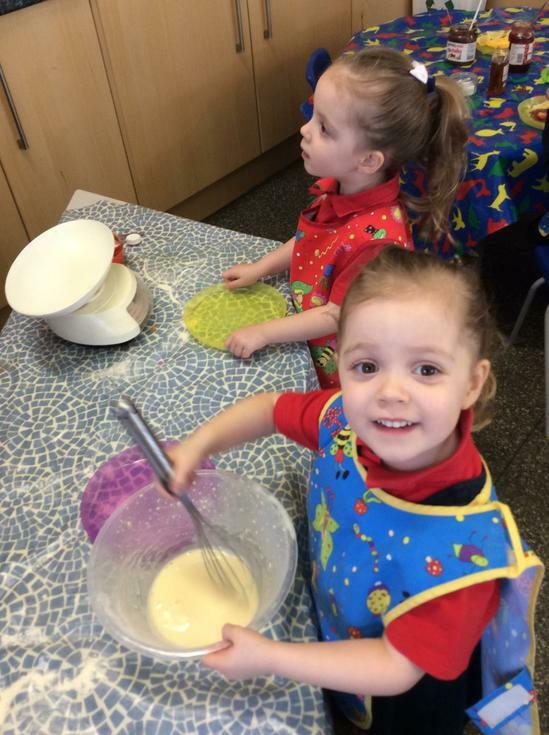 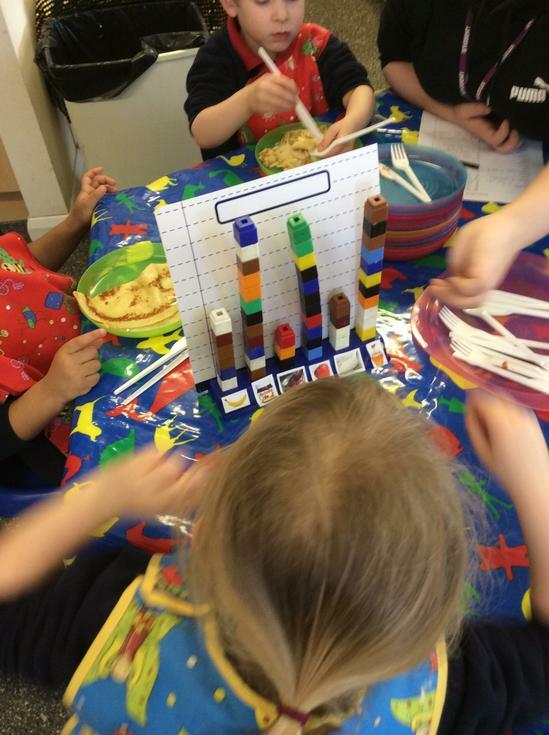 They made pancakes, put their choice of toppings on, created a bar chart showing the most popular toppings, tossed pancakes in frying pans and created playdough pancakes too! 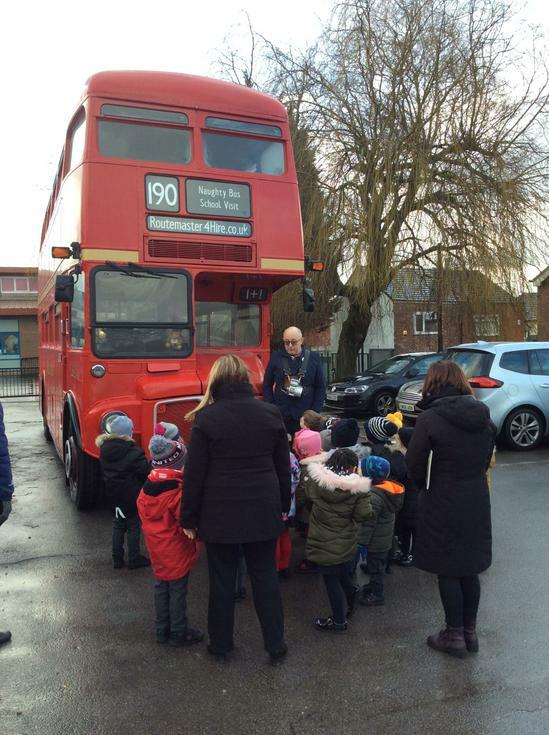 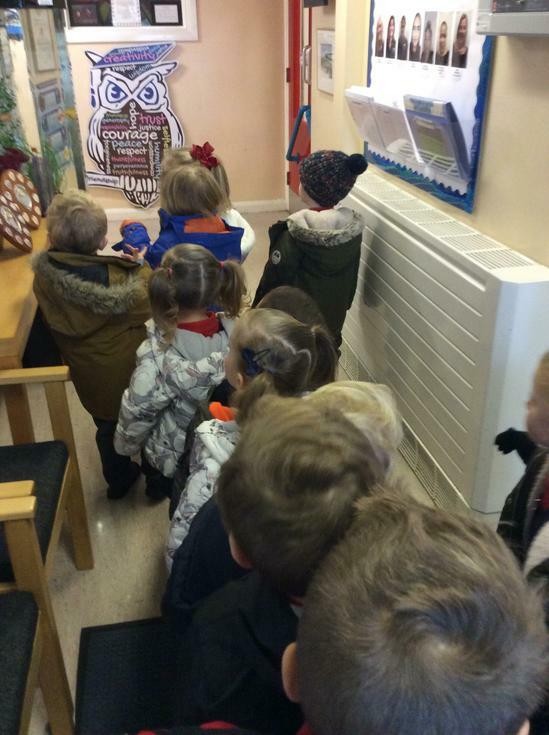 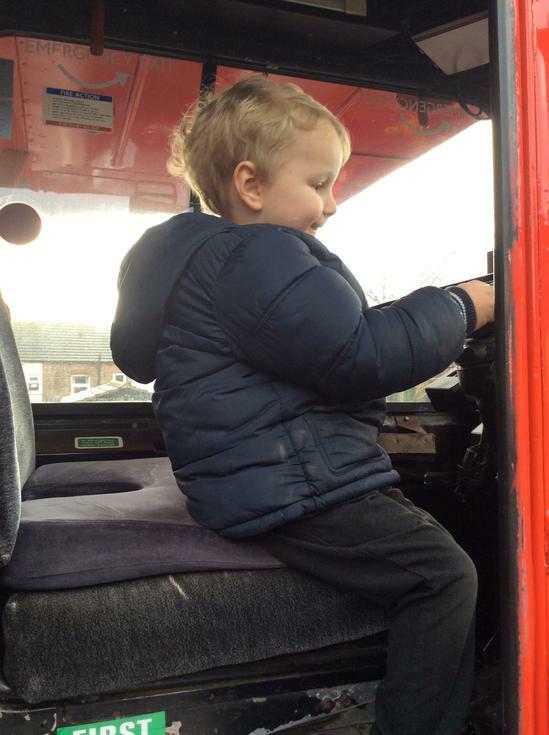 The Naughty Bus came to visit Nursery today! 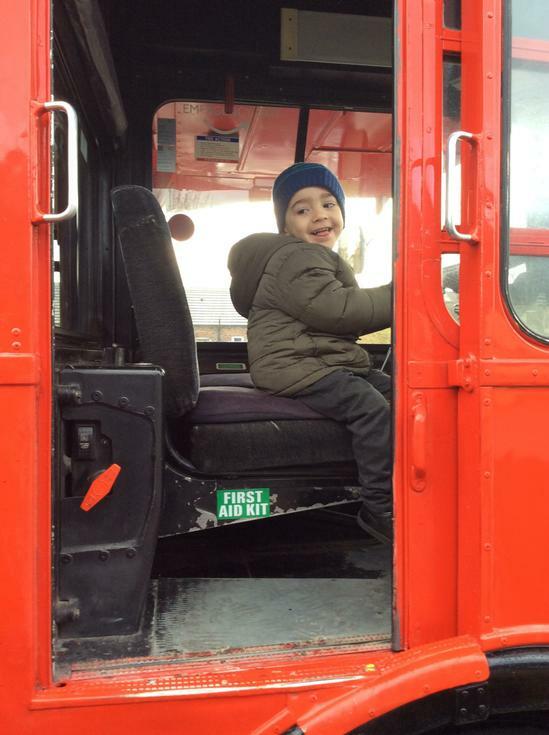 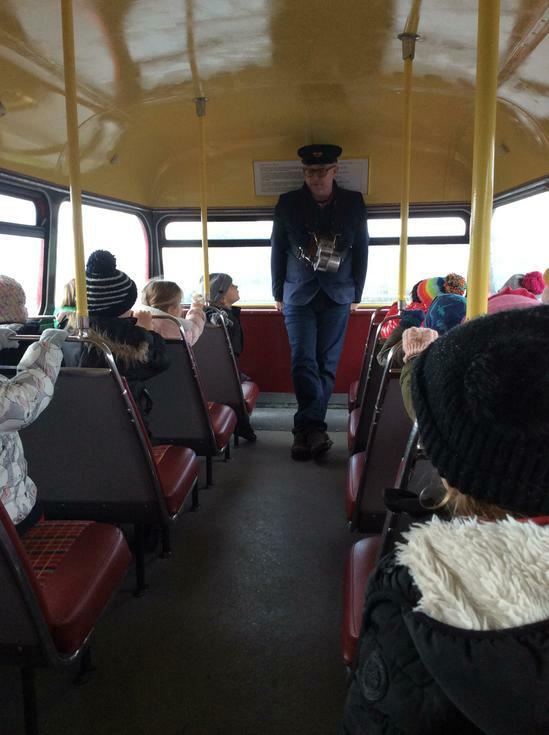 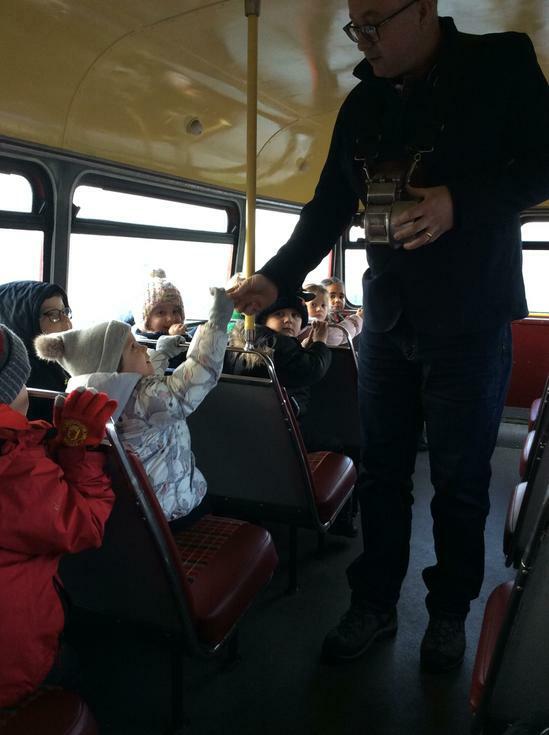 We got to go to the top deck, get a ticket, ask questions about the story, learn about London busses, complete challenges linked to the story and have a go in the drivers seat. 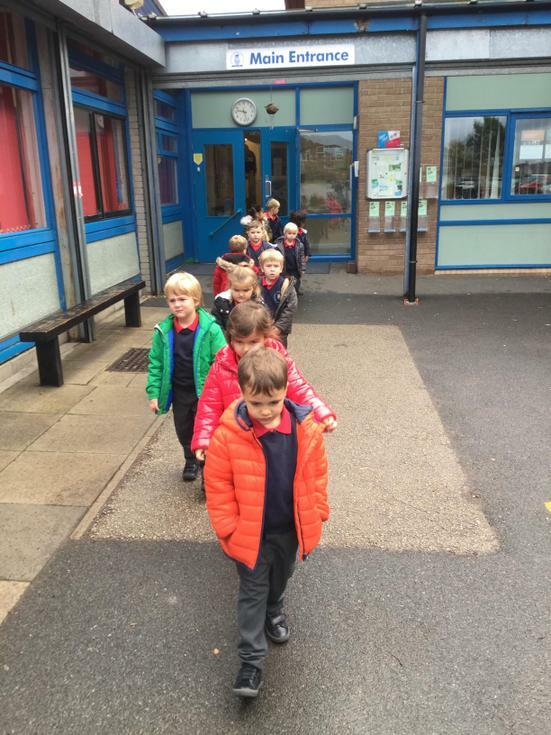 Our new topic is Transport. 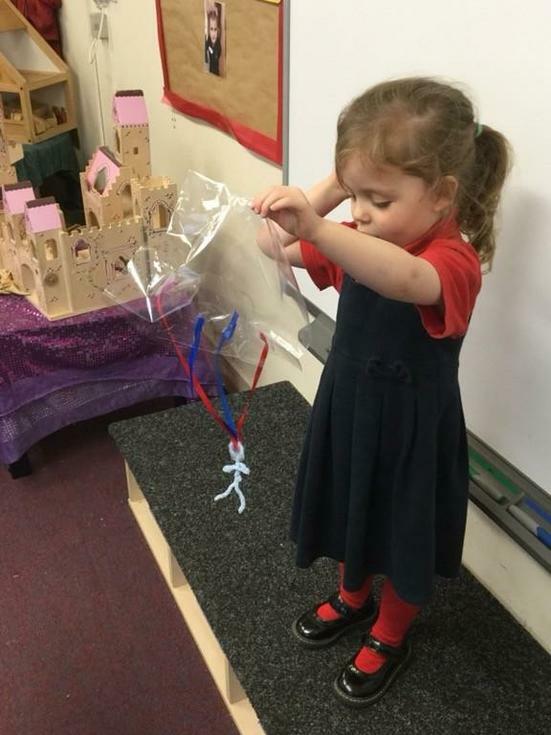 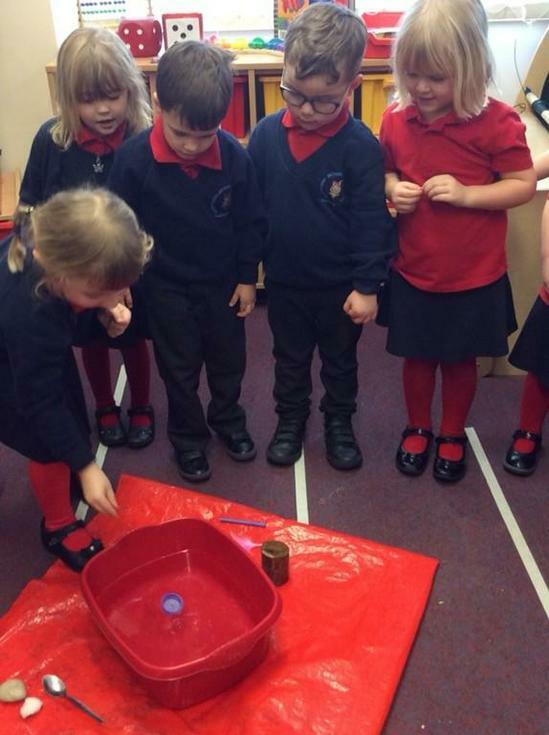 We have carried out lots of investigations and experiments linked to transport, including making fizzy exploding rockets, making parachutes and testing what materials float like a boat. 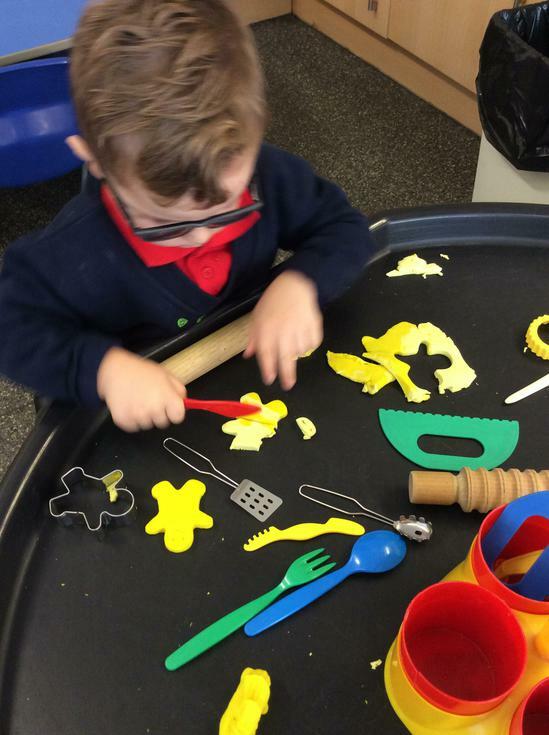 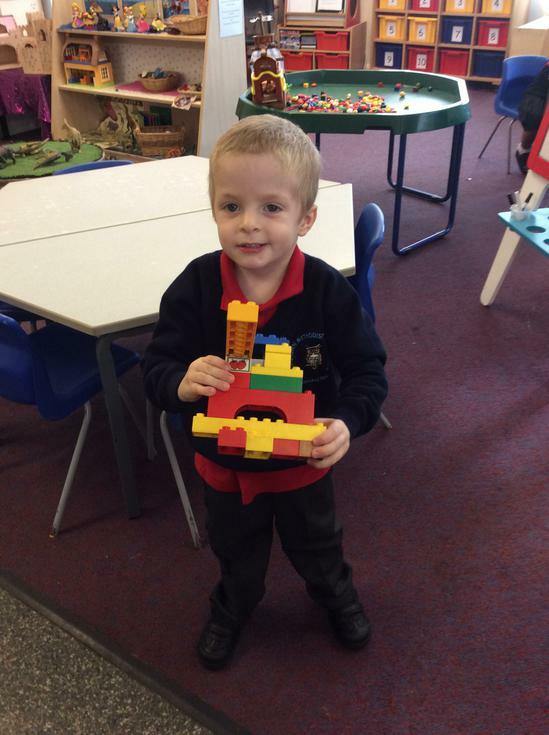 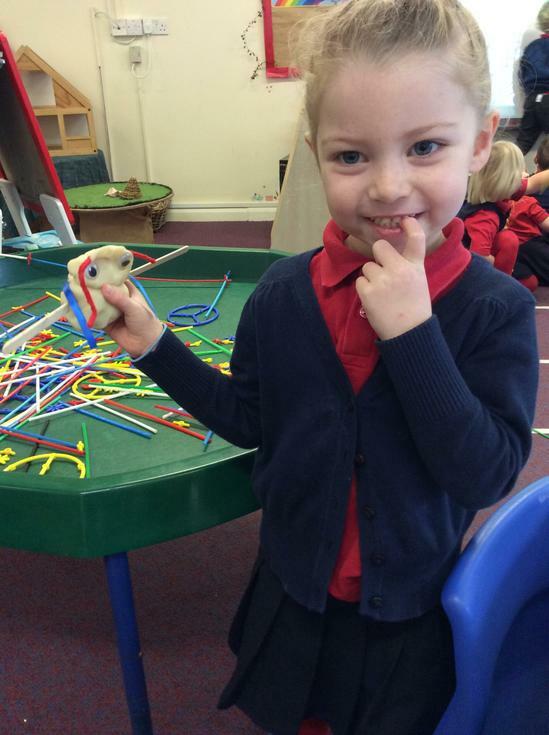 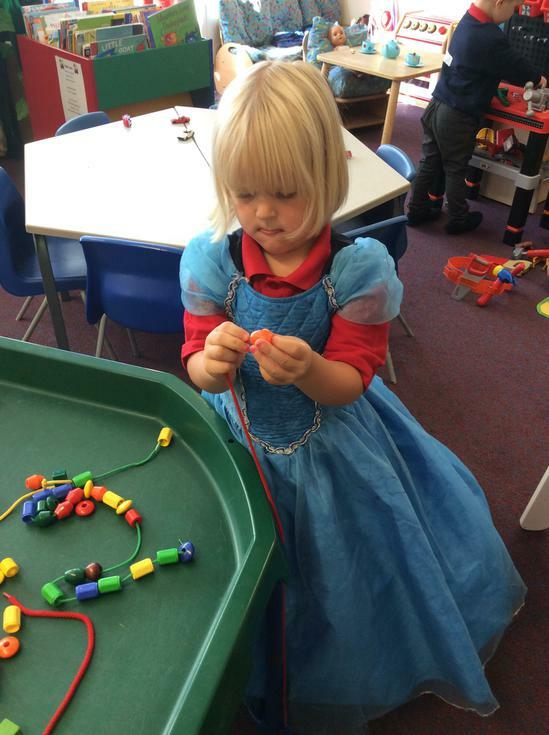 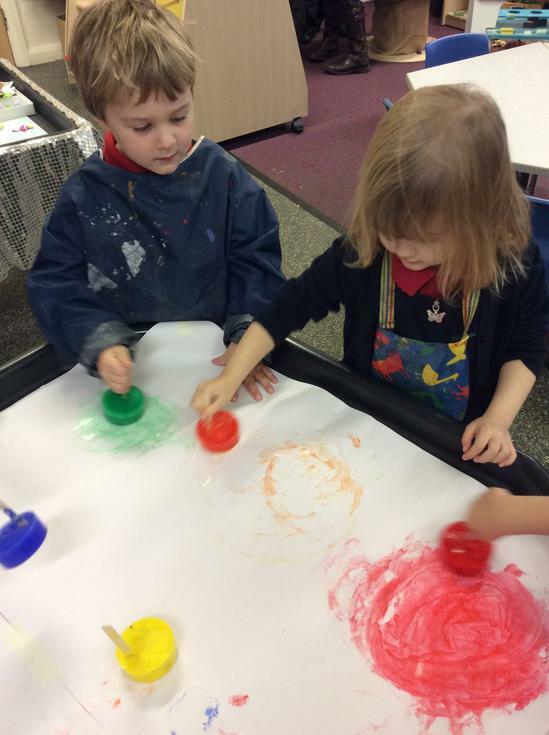 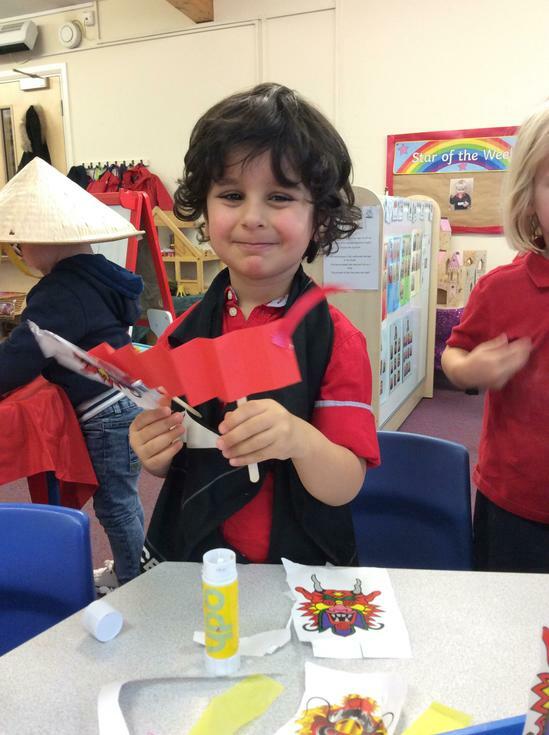 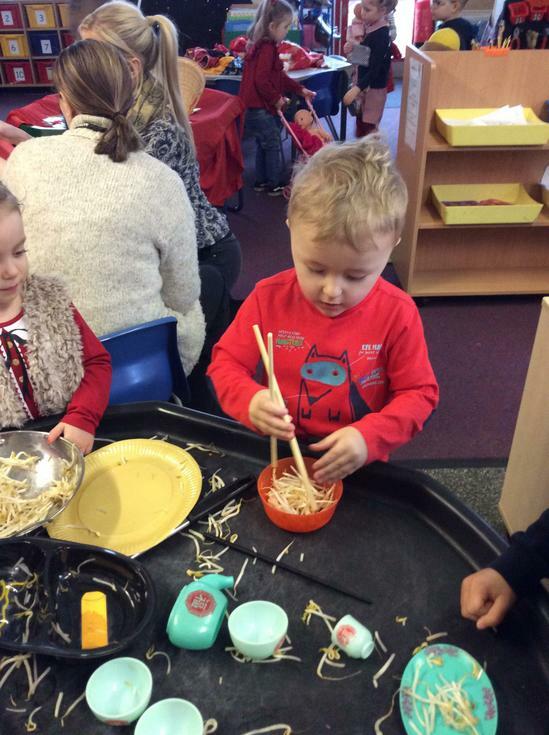 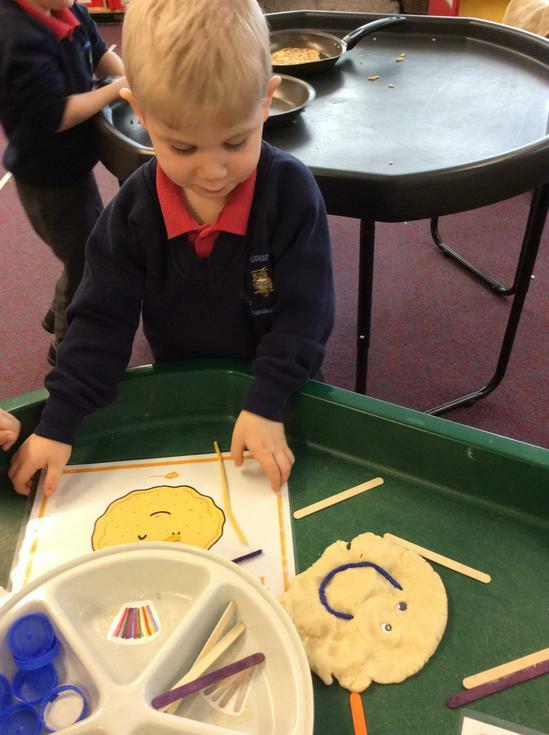 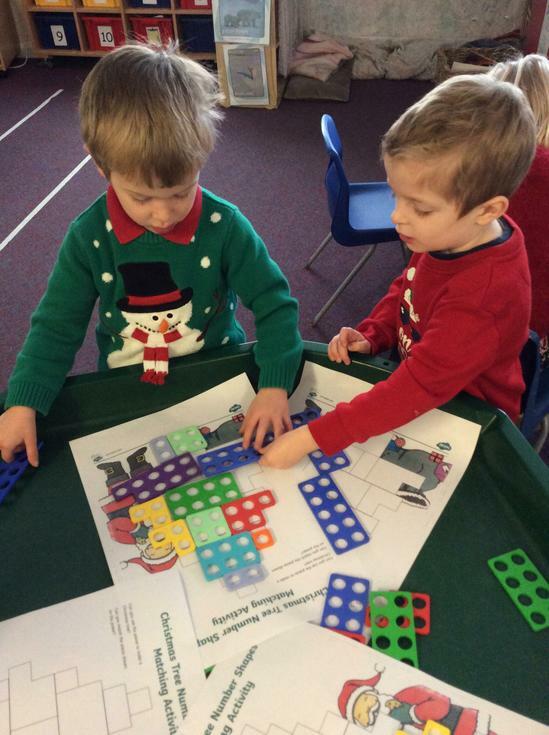 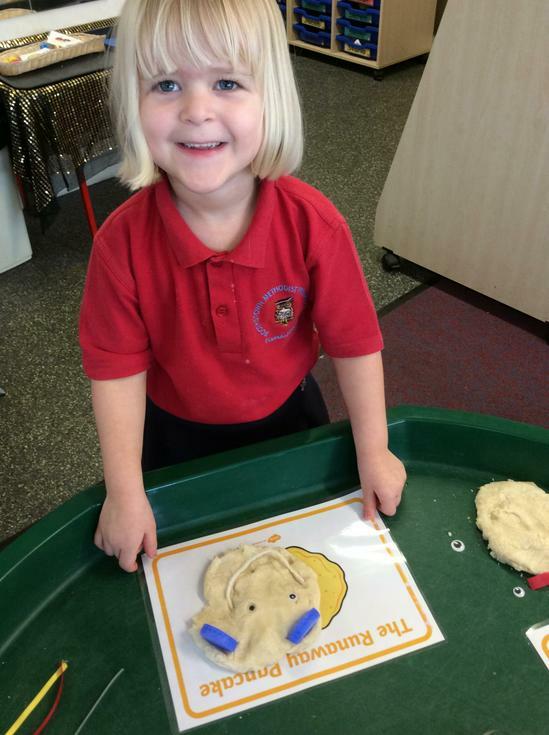 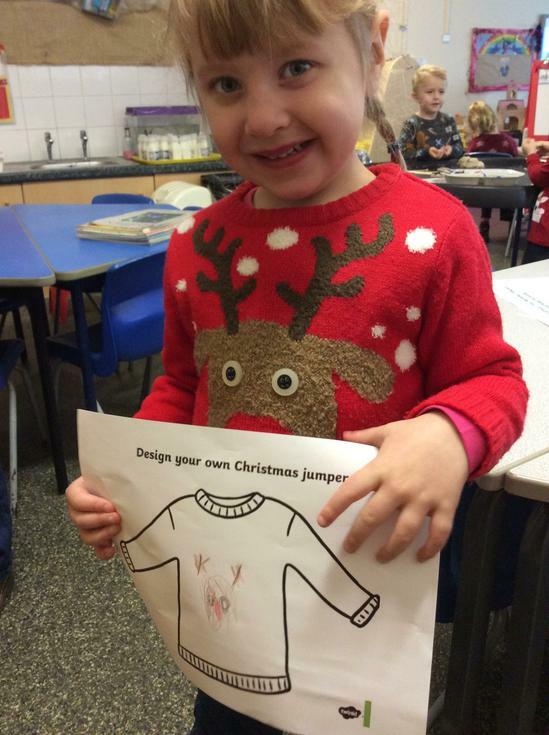 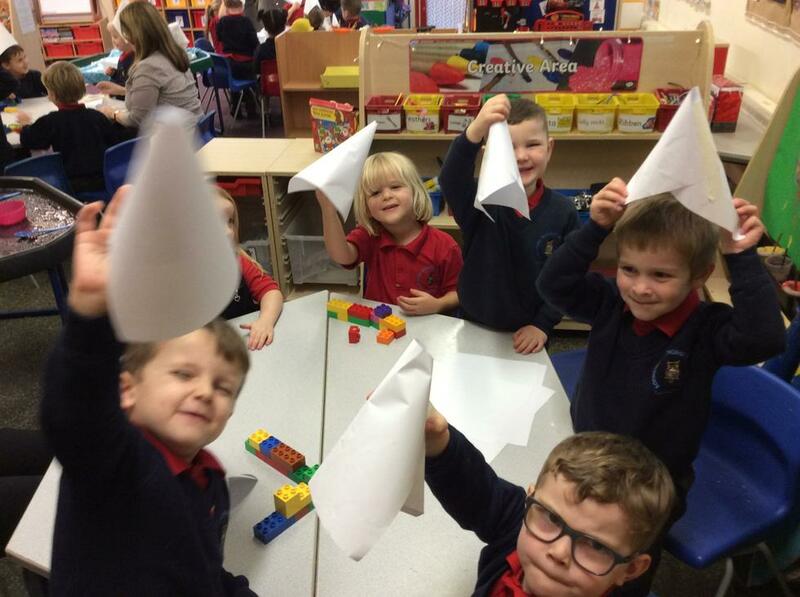 Nursery have been enjoying all their winter and Christmas craft activities. 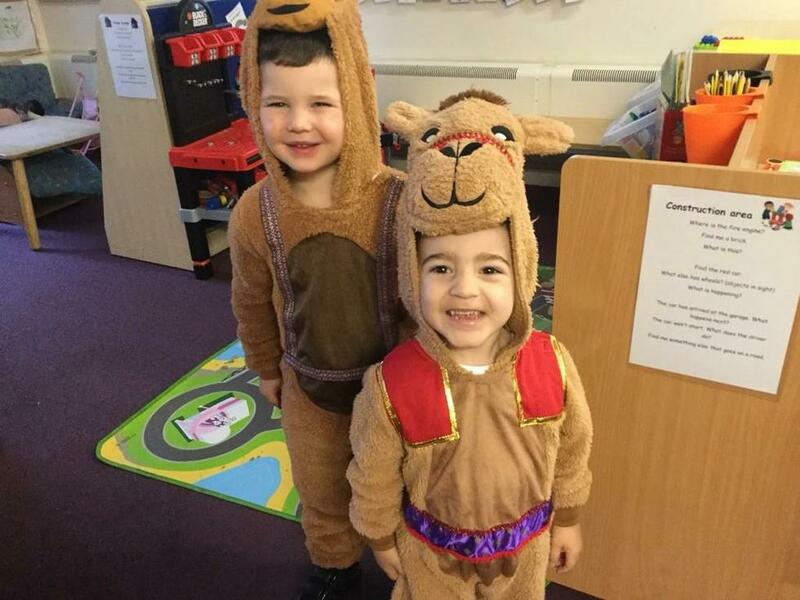 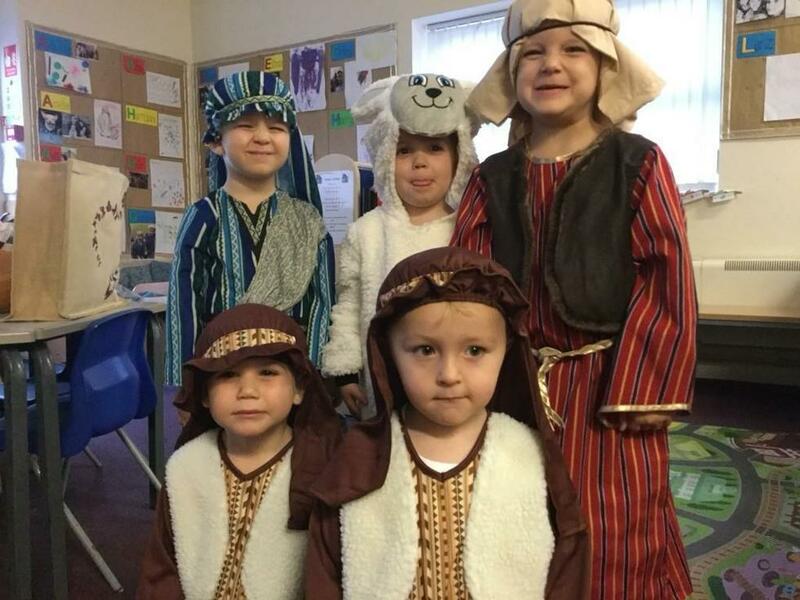 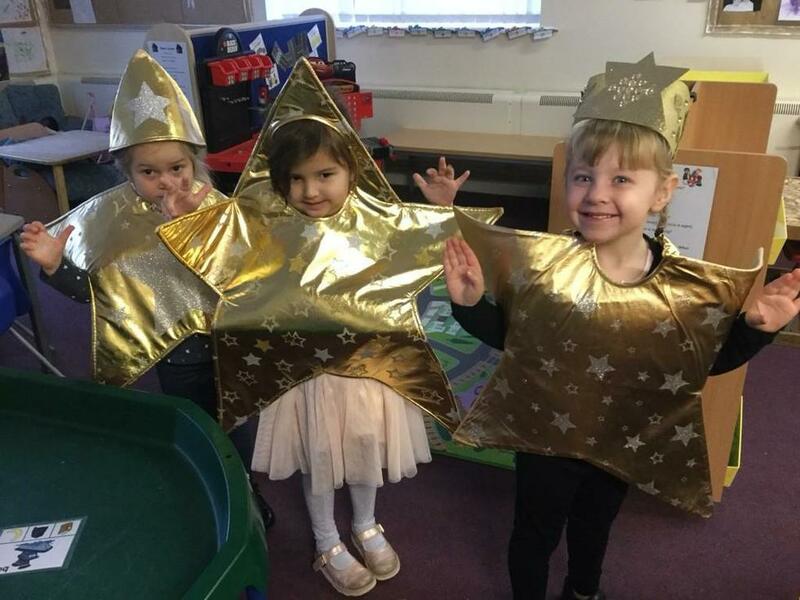 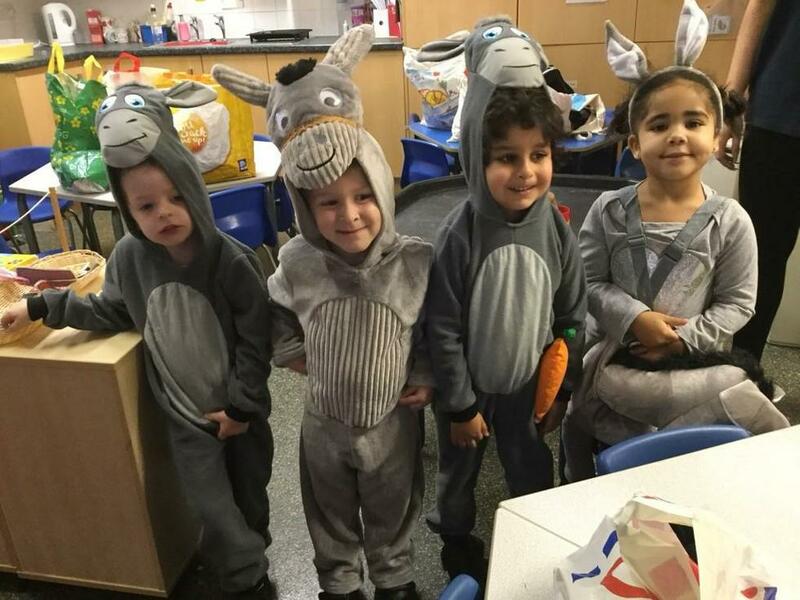 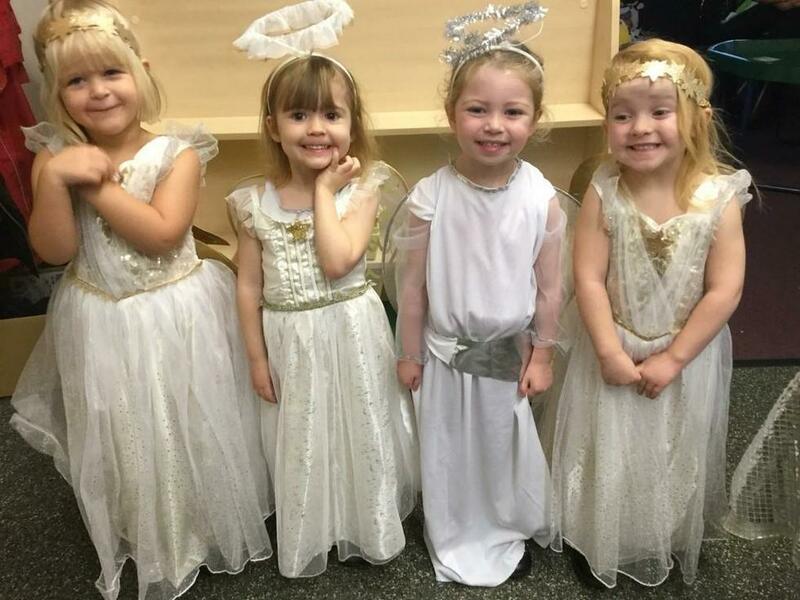 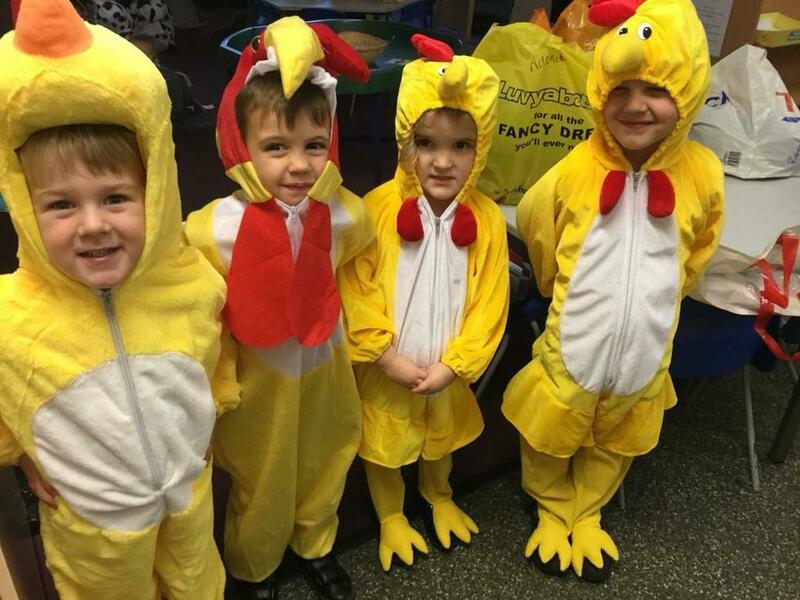 Nursery did really well in their first ever Nativity show! 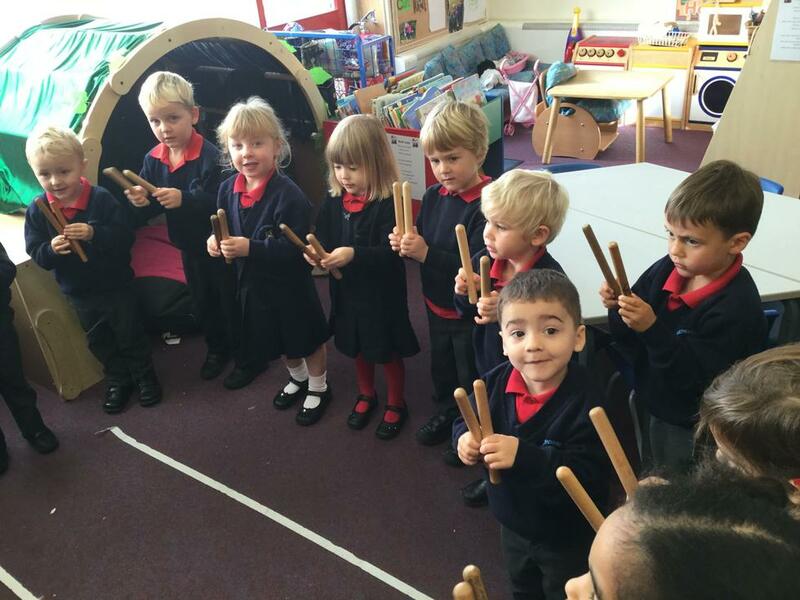 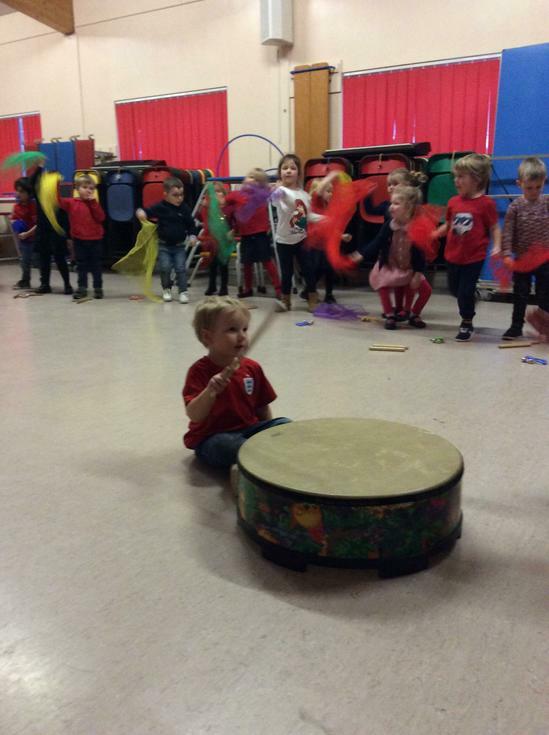 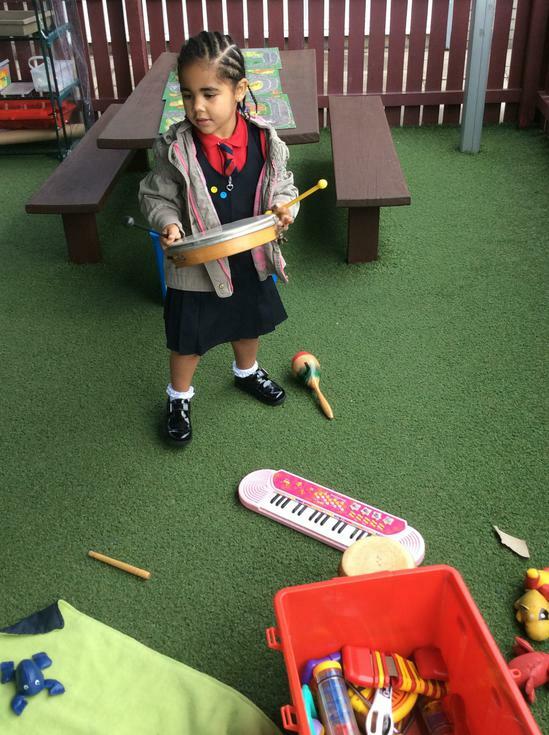 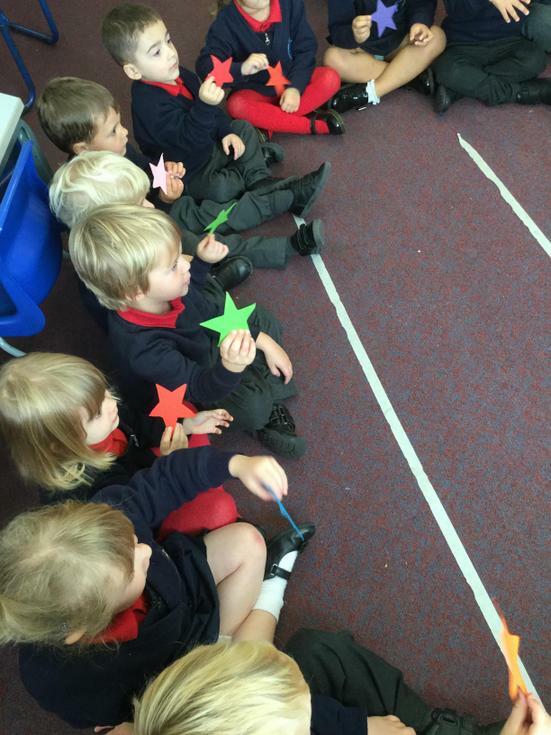 Nursery enjoy their weekly music sessions. 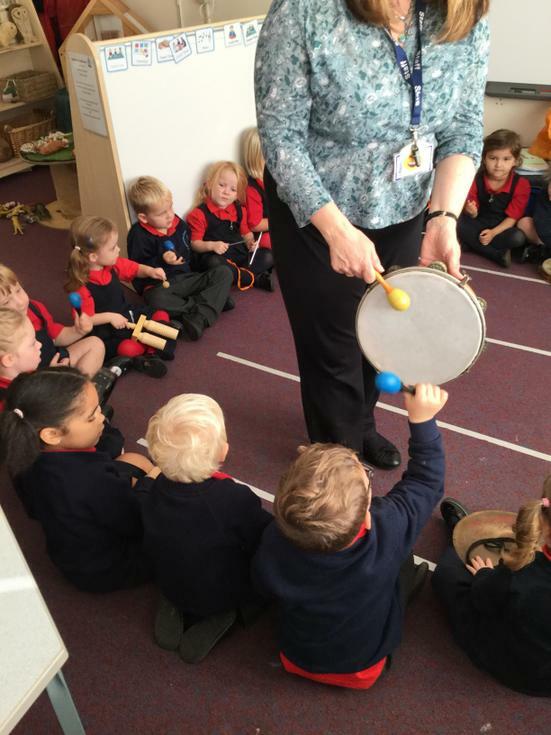 We have been exploring loud and quiet sounds, coping a beat and the ways to different sounds with instruments. 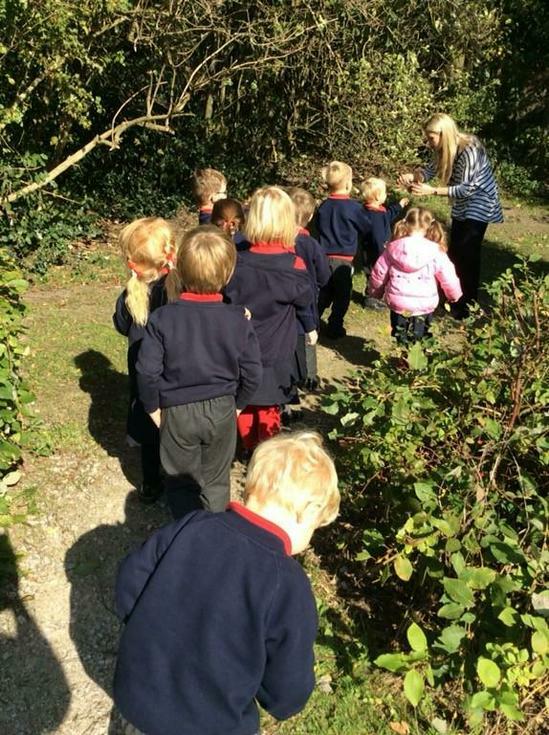 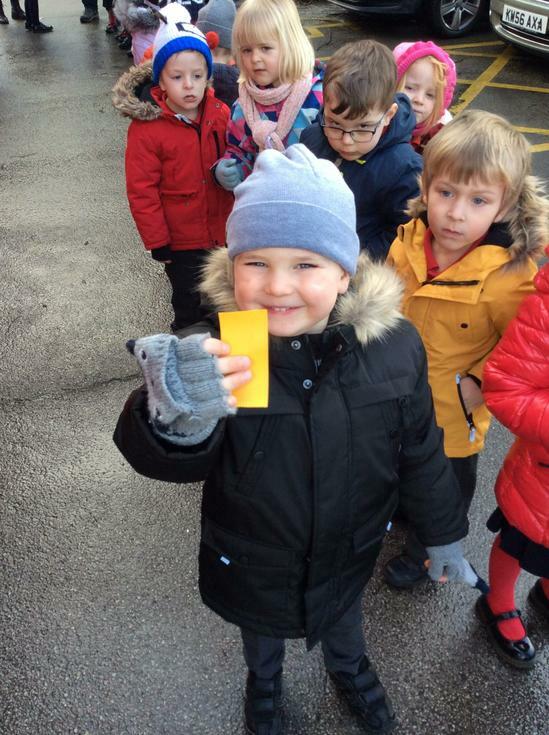 Nursery went on a listening walk around school and outside. 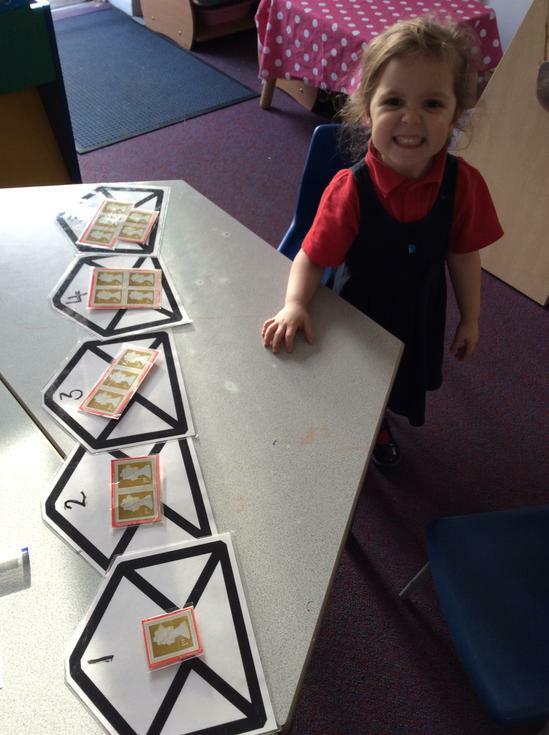 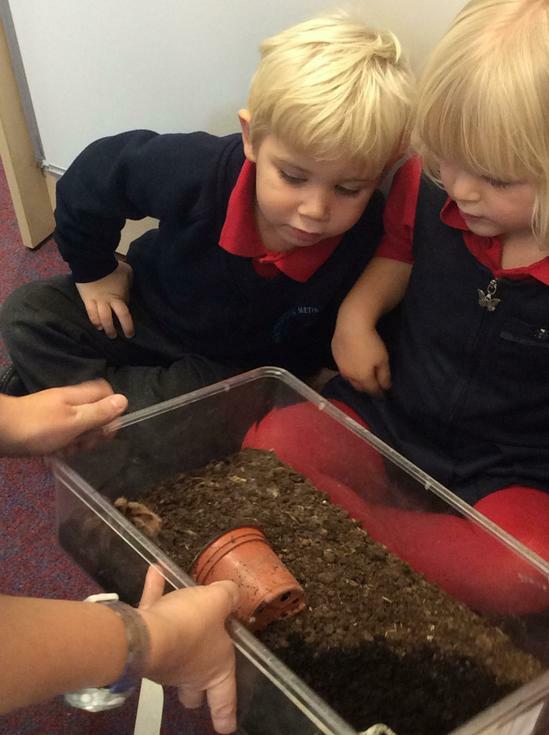 They have been learning about environmental sounds in phonics. 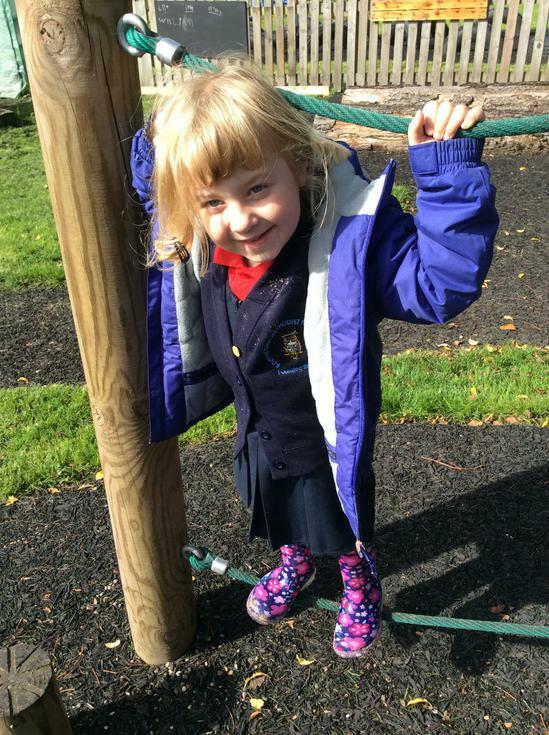 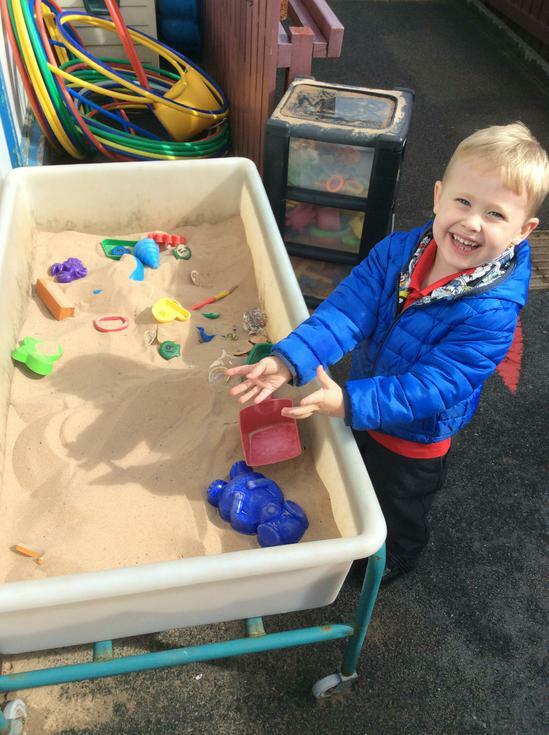 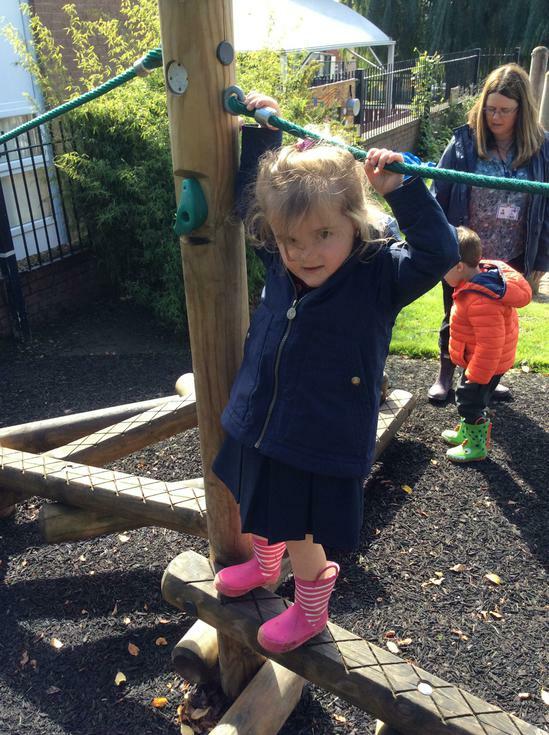 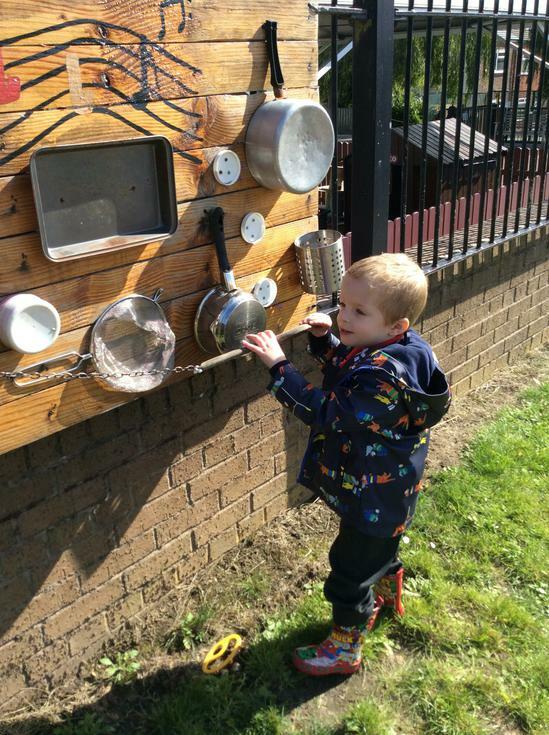 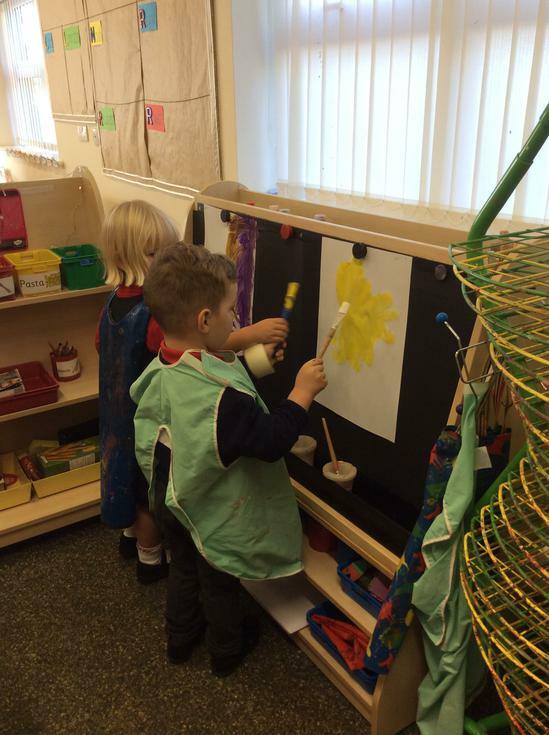 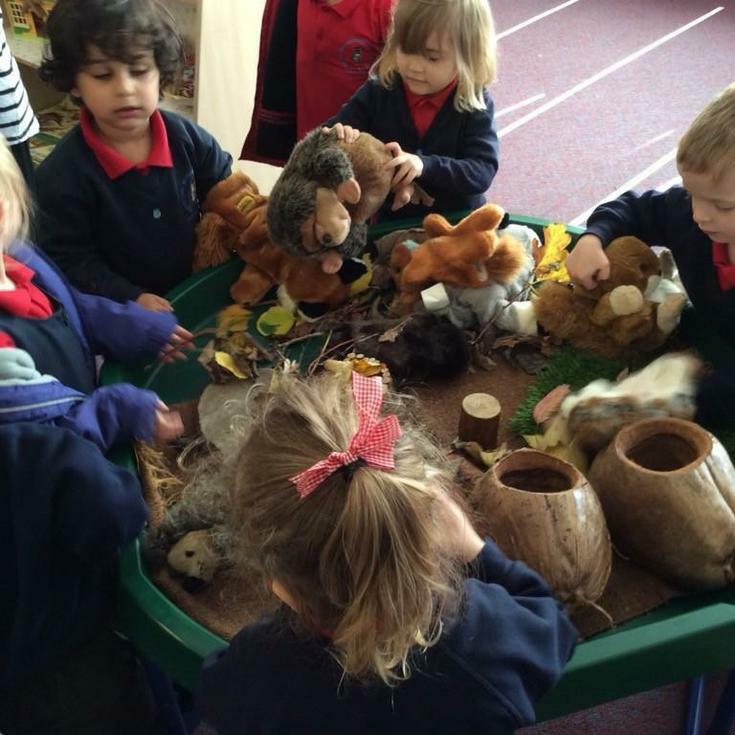 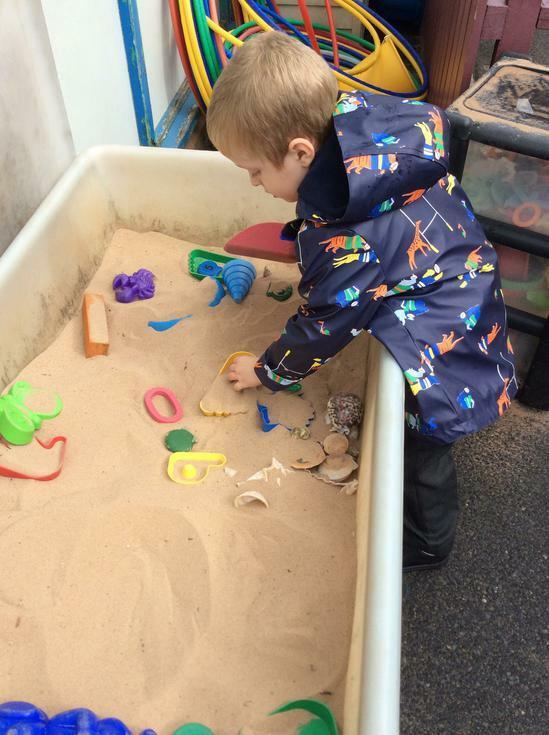 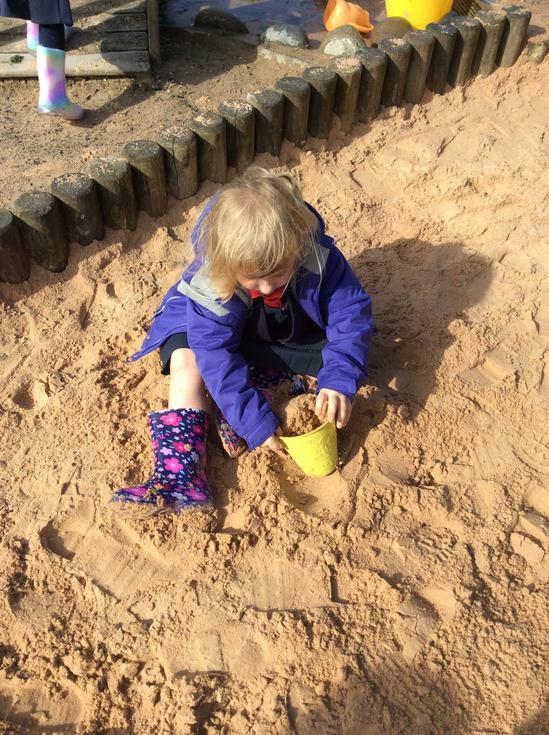 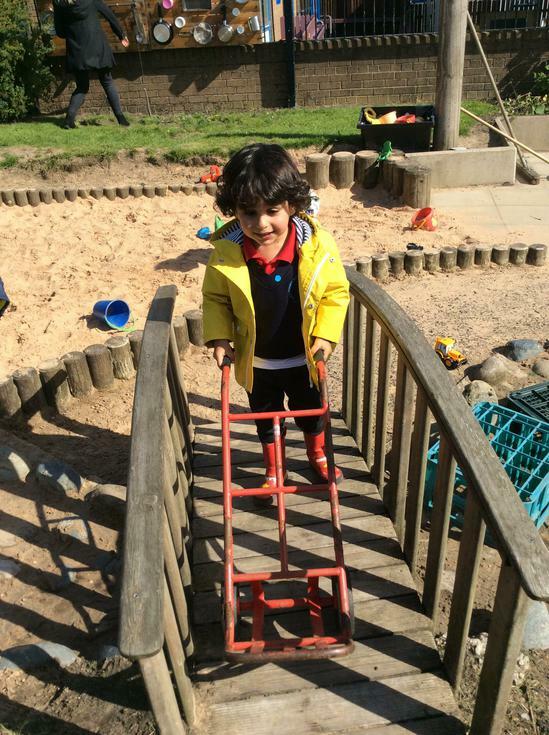 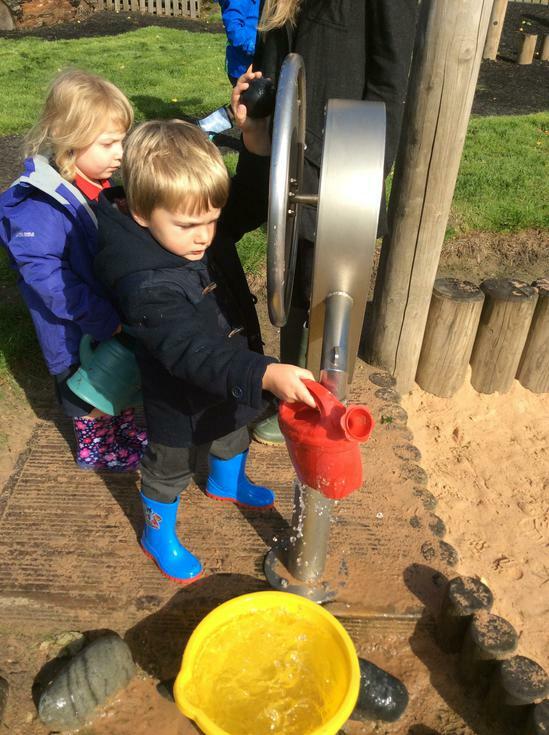 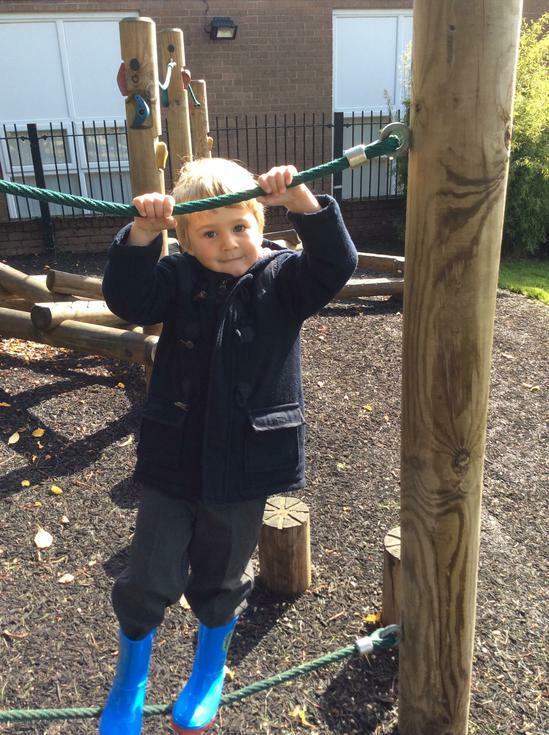 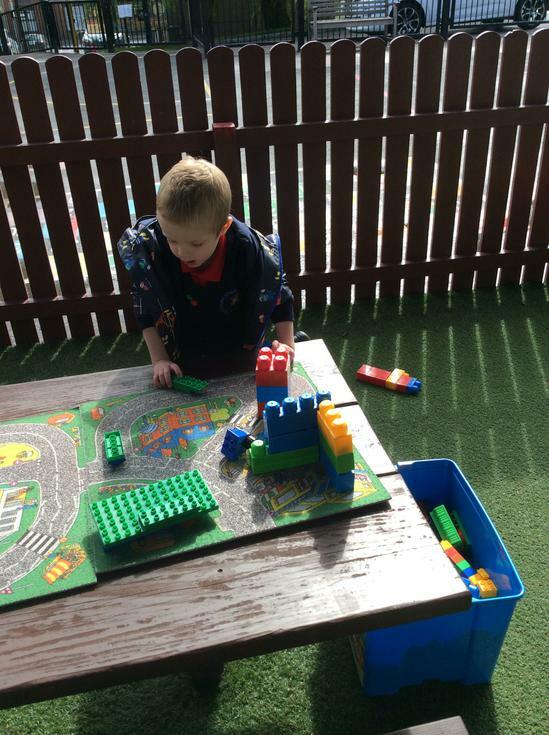 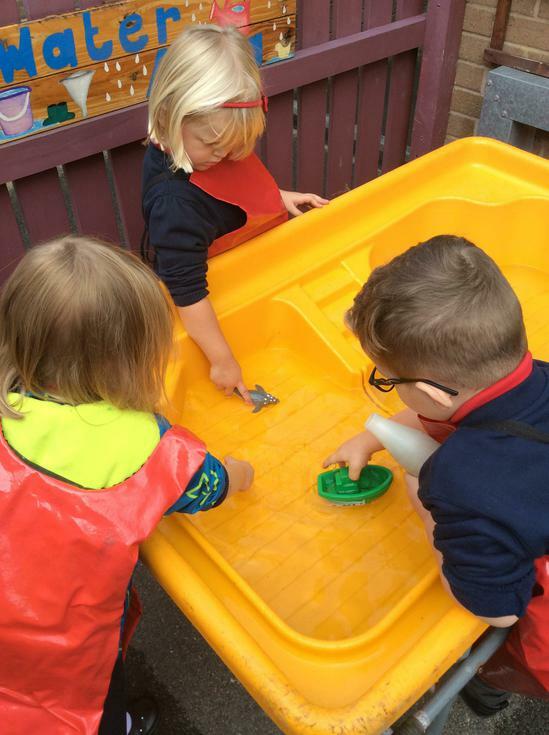 Nursery have been looking into the changes from summer to autumn. 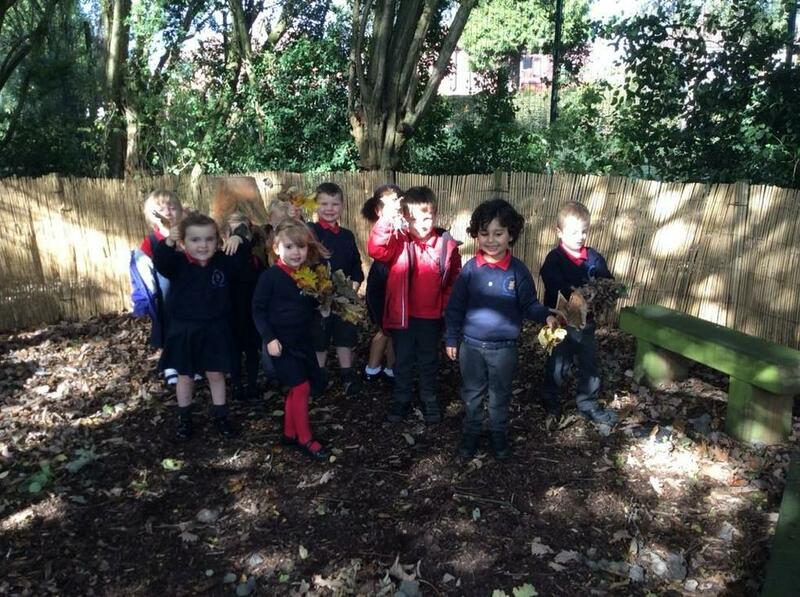 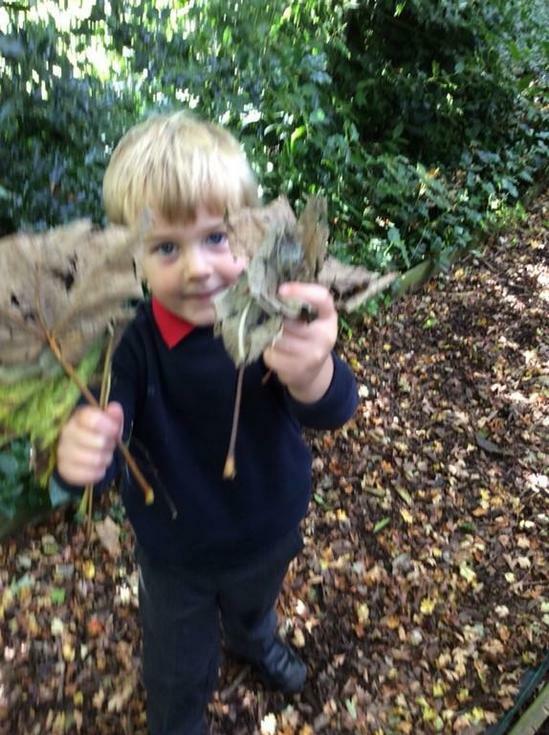 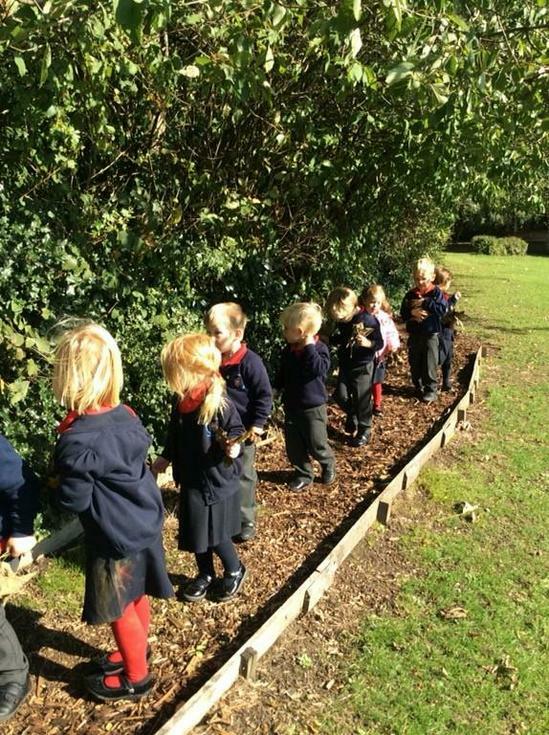 They went on an autumn walk and brought their leaves back into the classroom to add to their autumn investigation area. 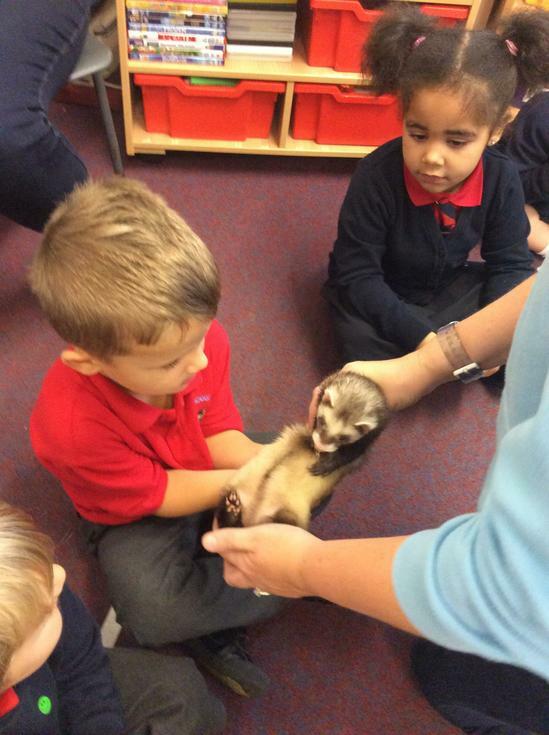 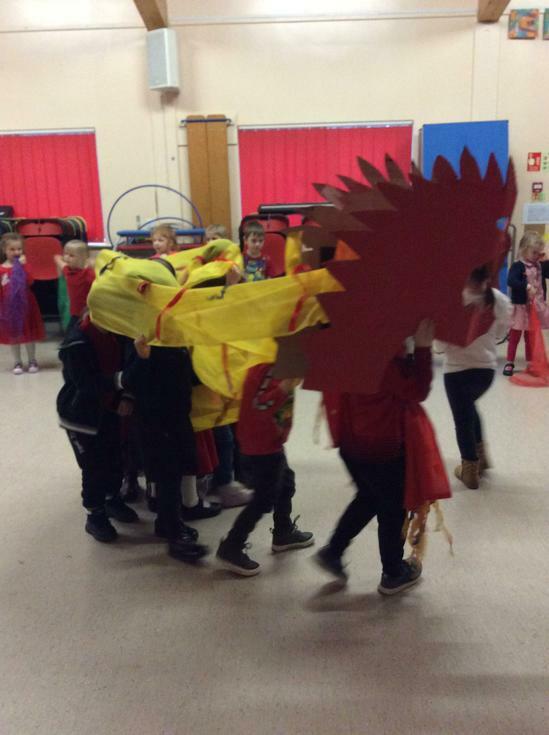 The Animals Take Over workshop came to visit us to support our topic on Nocturnal Animals. 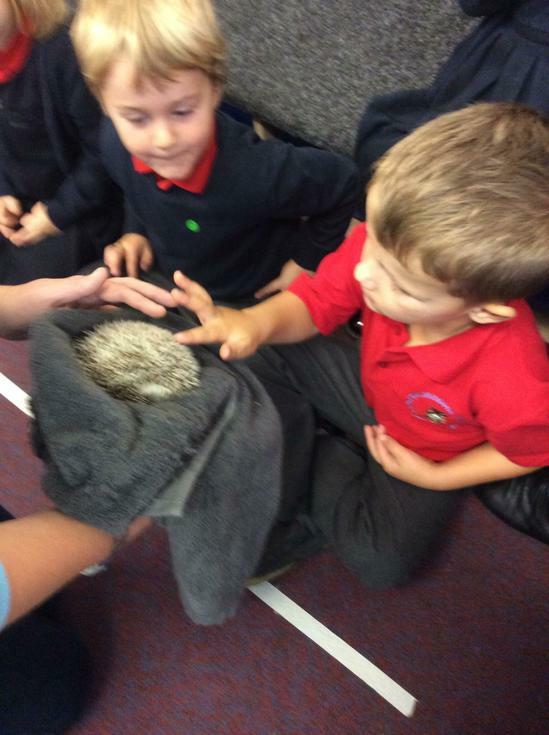 They brought in a barn owl, hedgehog, tree frog, ferret, centipede and spider. 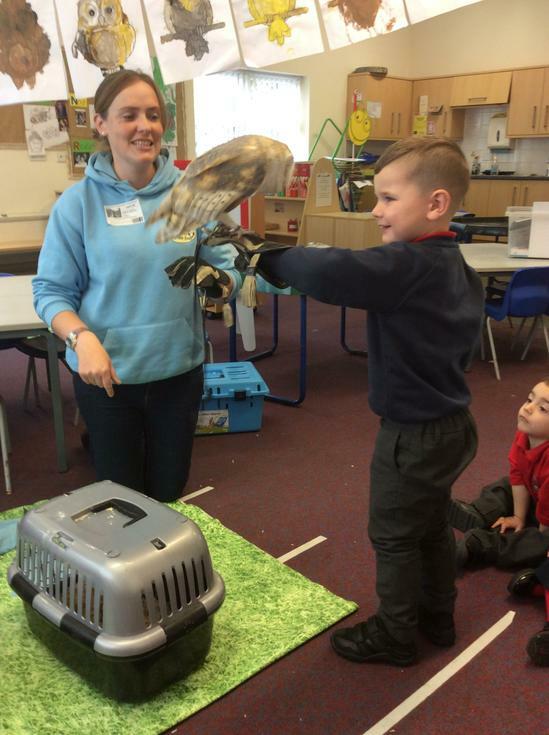 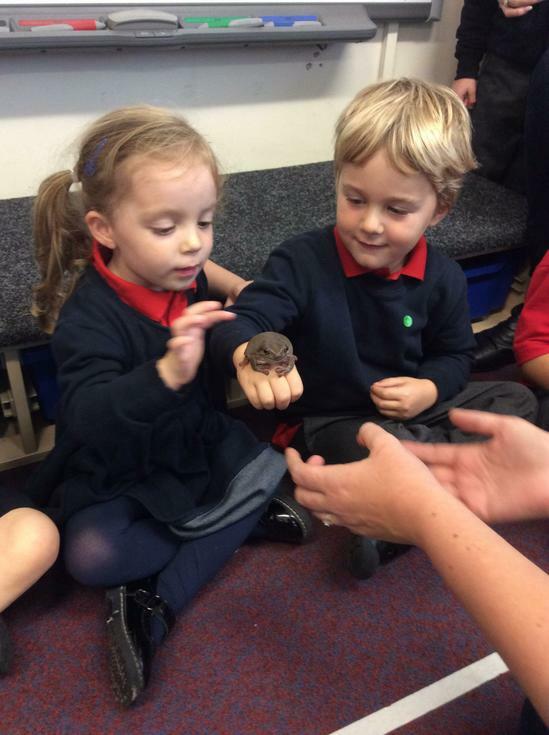 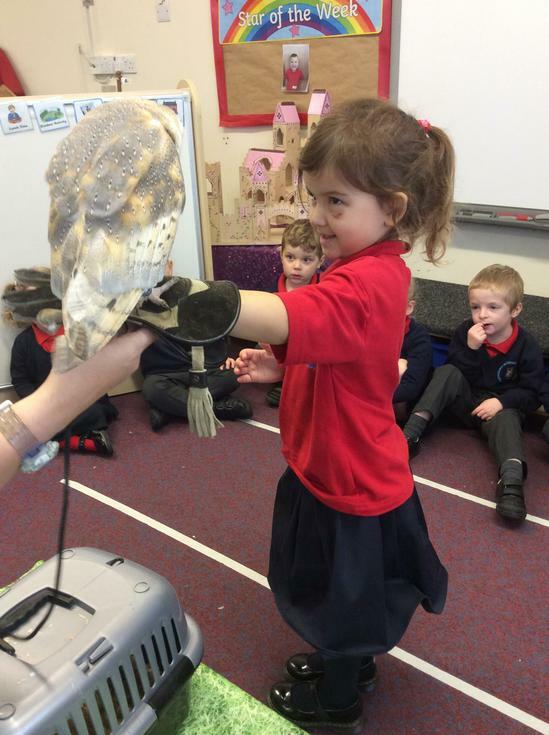 We all got to learn about, touch and hold the different nocturnal animals. 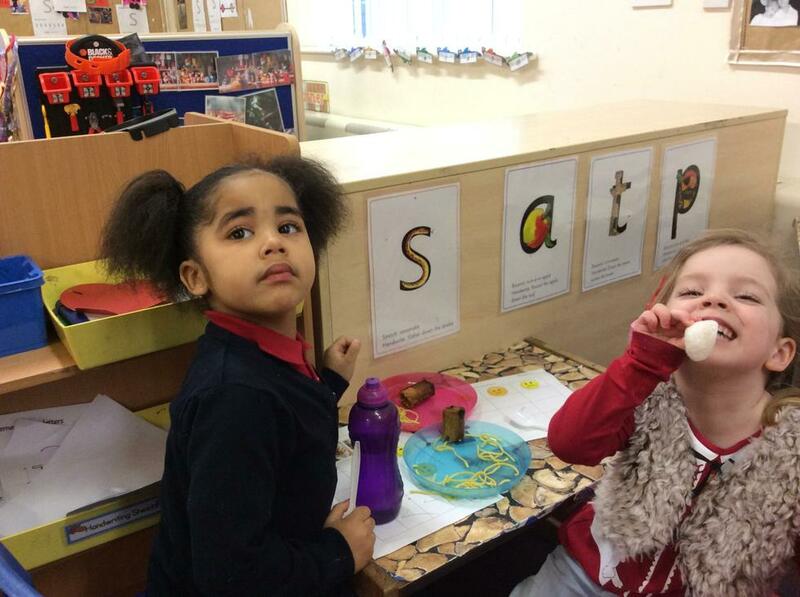 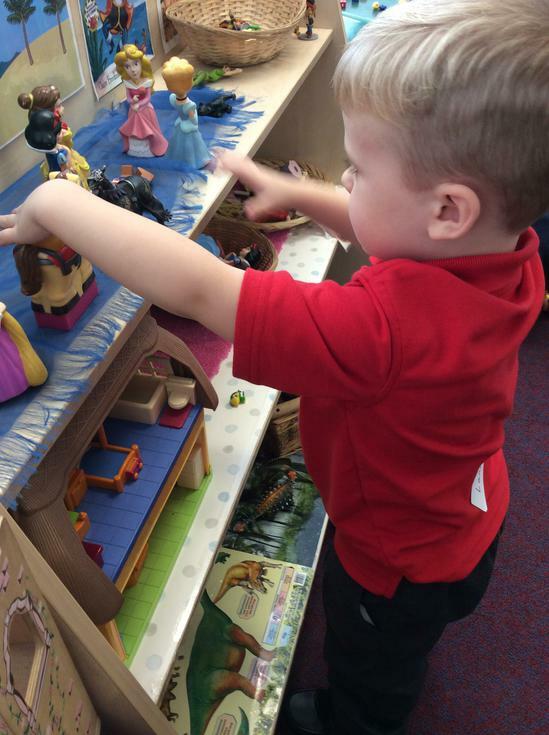 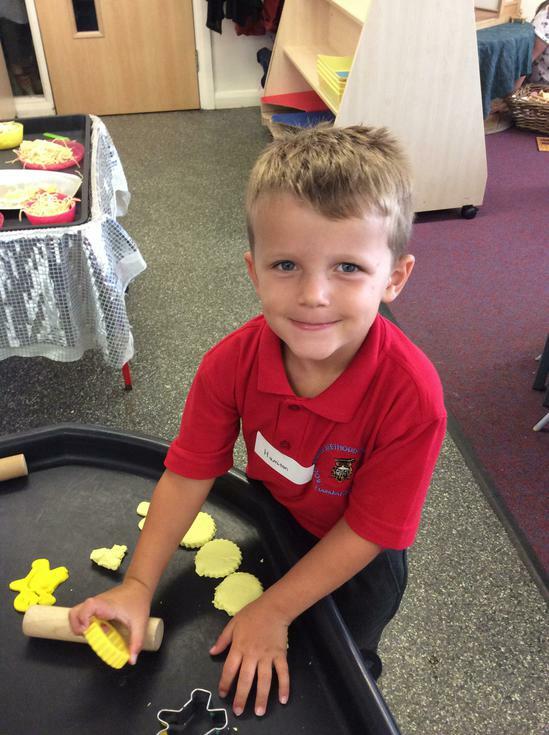 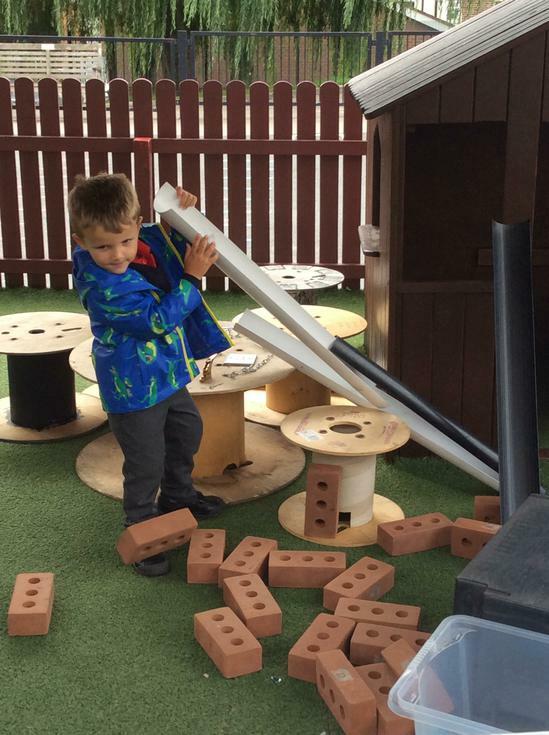 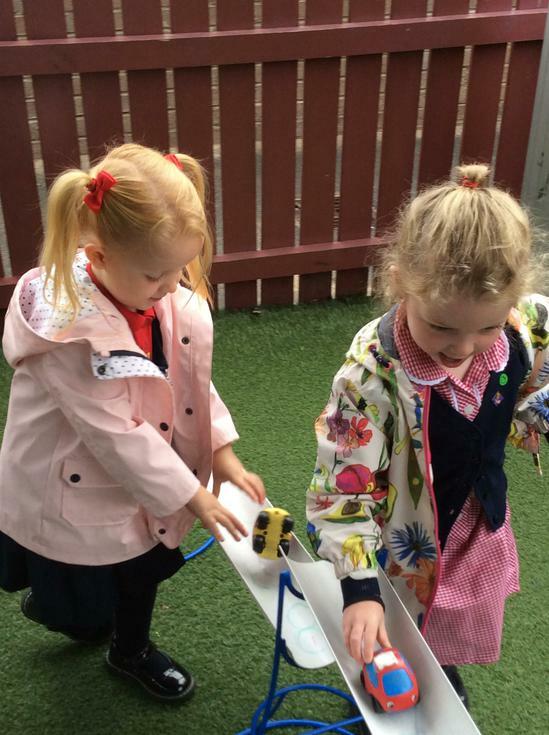 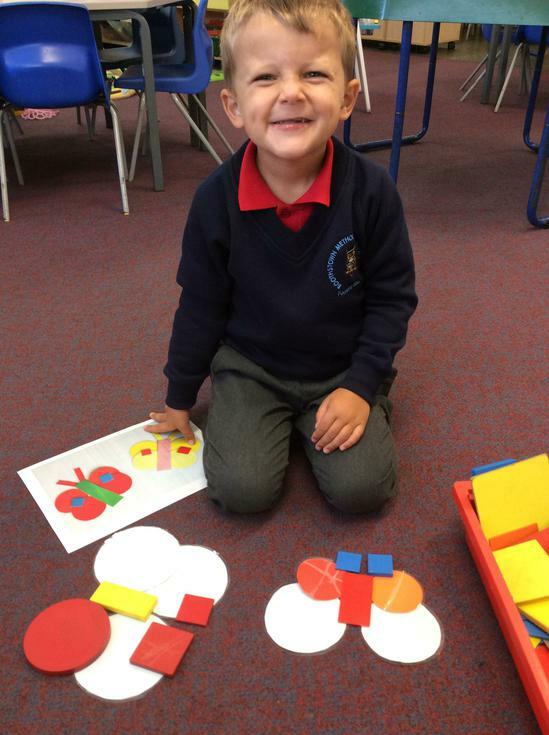 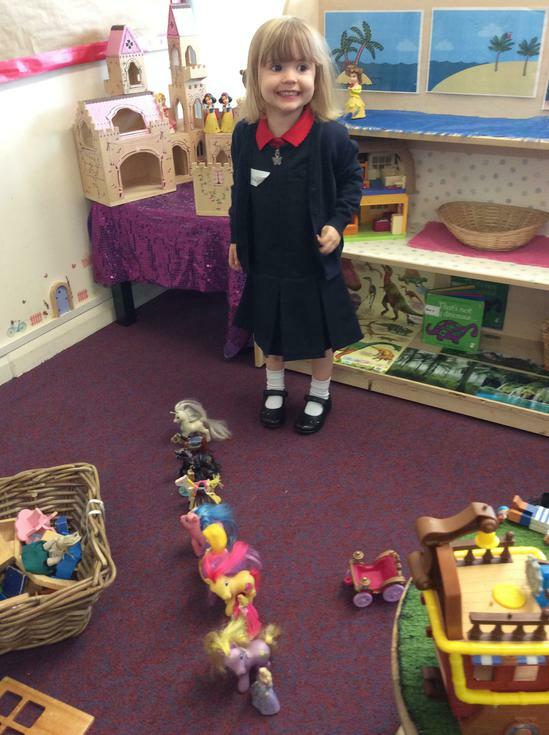 Nursery have enjoyed their transition into school. 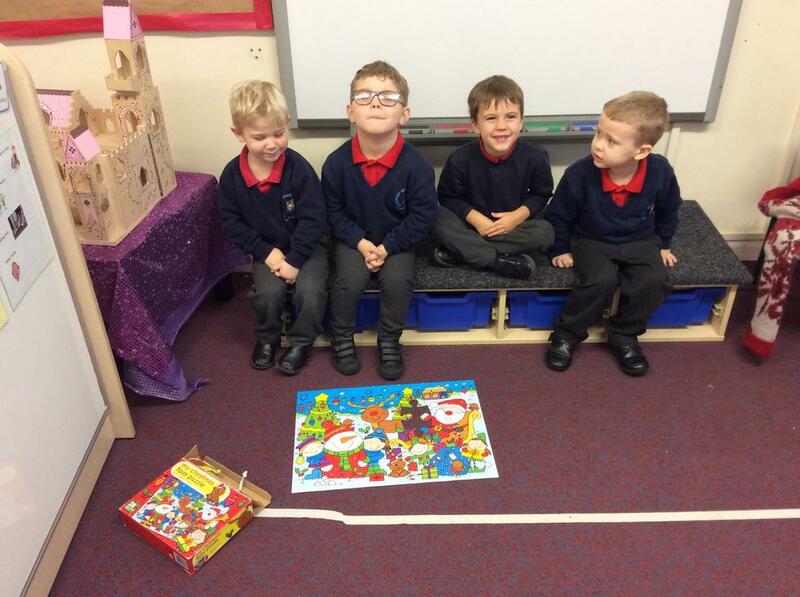 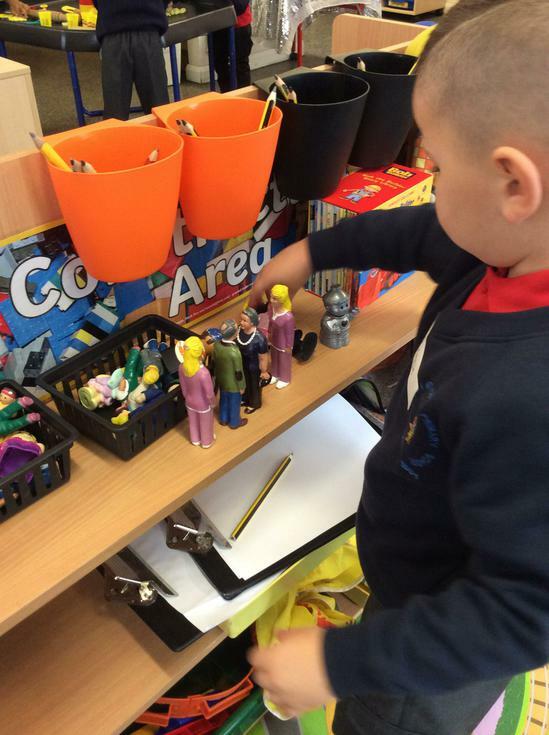 We have been learning about our classroom and each other. 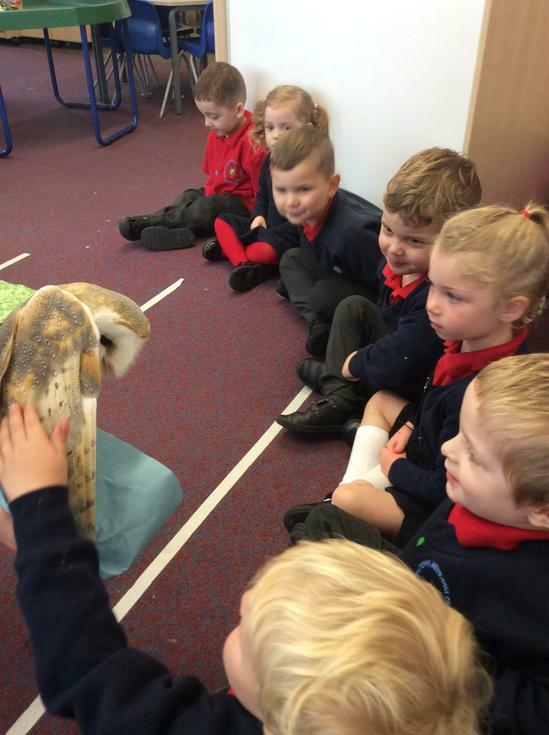 We can't wait to make more friends next week.